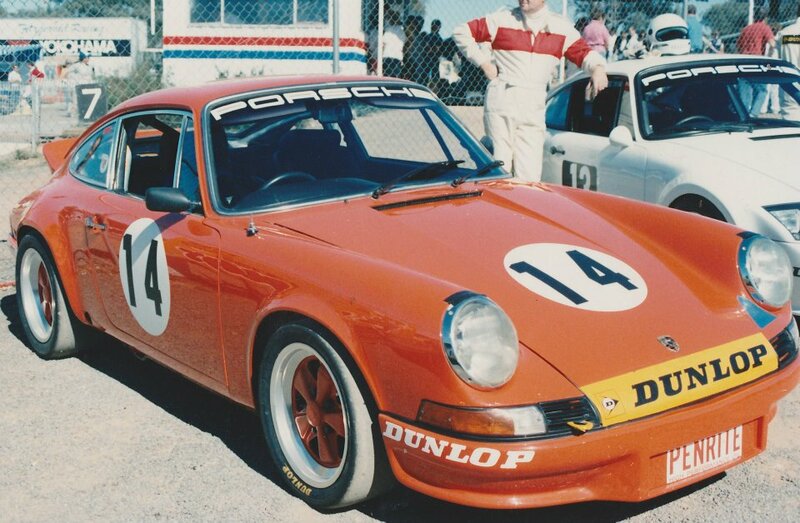 RSR was a special race model and this car was a clone but with all the comfort and luxury items added.This car has a very interesting story behind it.The original car was a 2.9 liter slant nose RSR clone. 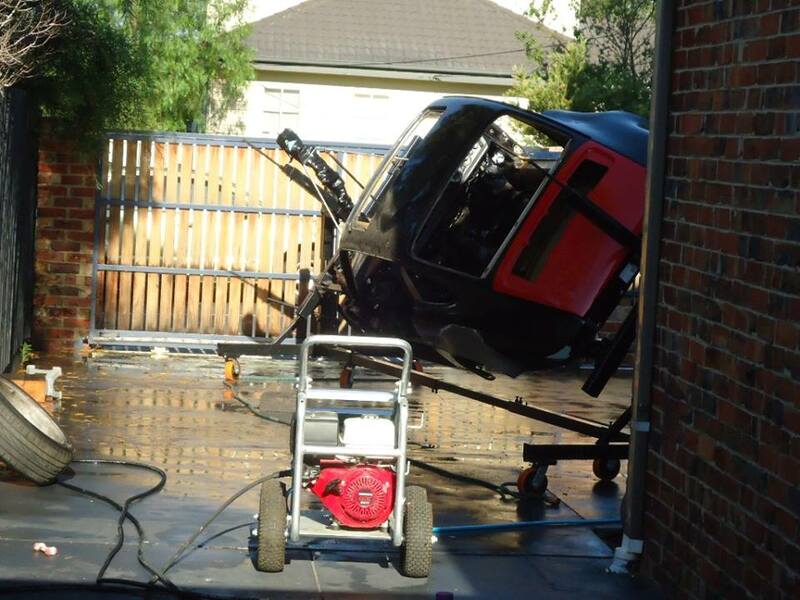 It needed some work to clean it up to the owners standard but in the process of the planning stages was crashed and written off. 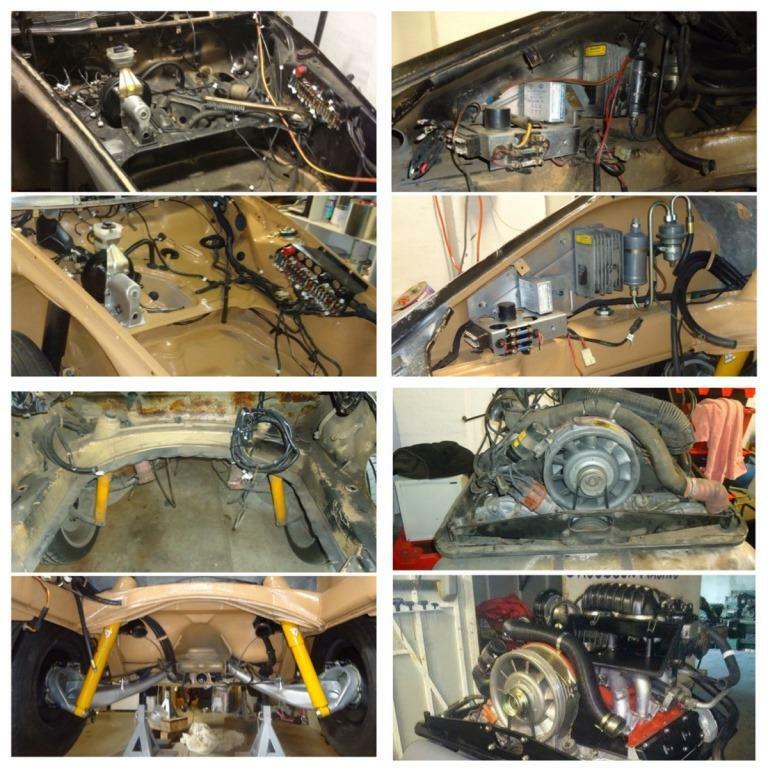 The plan changed and a donor car was found and the conversion began, This car was built to the highest standard and many configurations were changed due t the use of 19 inch wheels, steering geometry, and gearing were the outstanding areas! 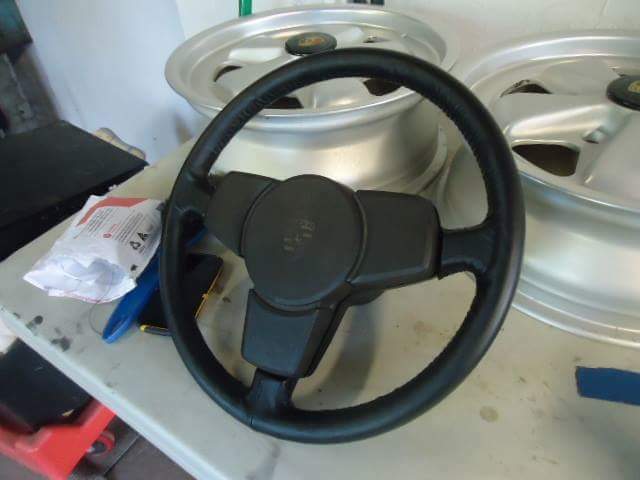 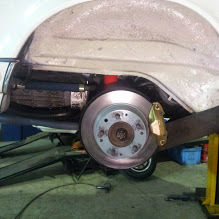 The steering had to be restricted to avoid the wheels binding on the body, and the gearing had to be changed to a special factory Hillclimb crownwheel and pinion then special gears fitted to obtain a suitable over all gearing result! 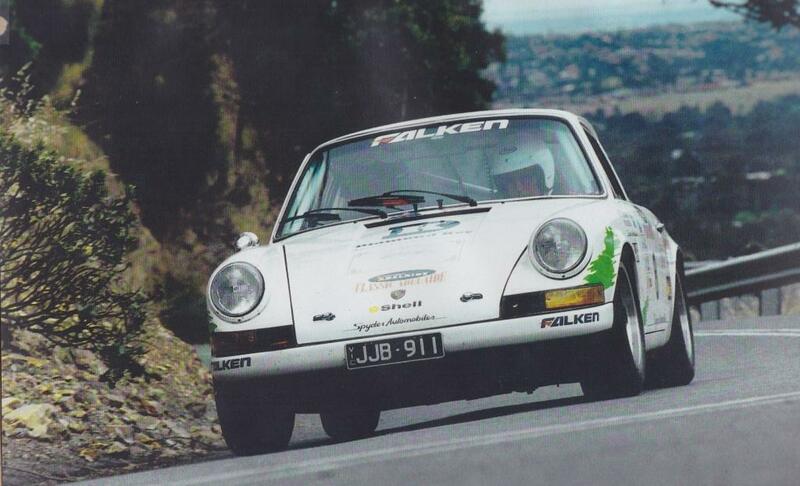 This 1973 Rally car was built and developed by Spyder Automobiles originally with a 2.4 engine which made 260 Bhp at the flywheel and eventually had this very strong magnesium cased 3.0 liter engine which made 315 bhp at the flywheel! 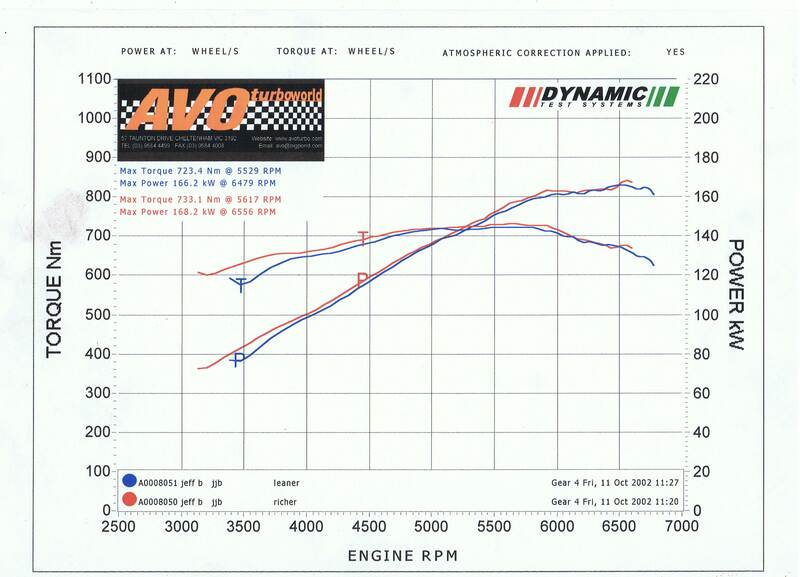 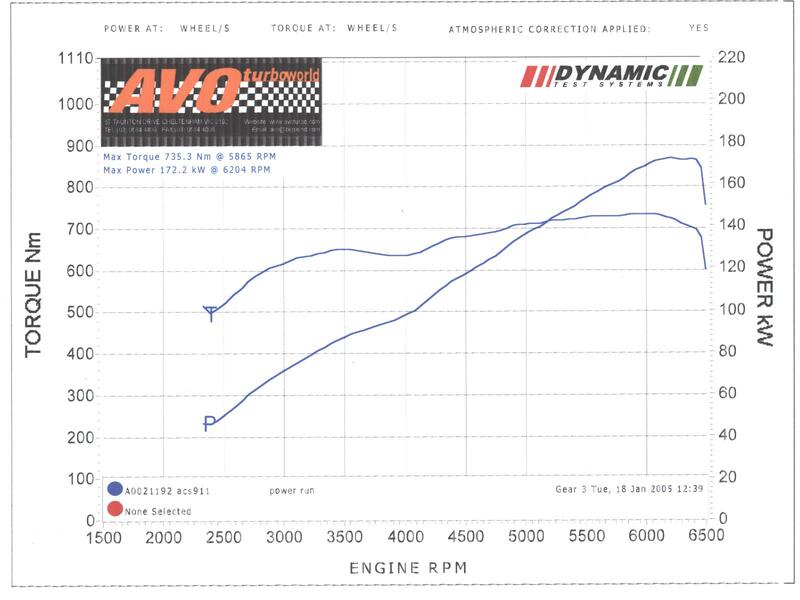 the Dyno sheet is from the 3.0 version and is at the wheels in Kw! 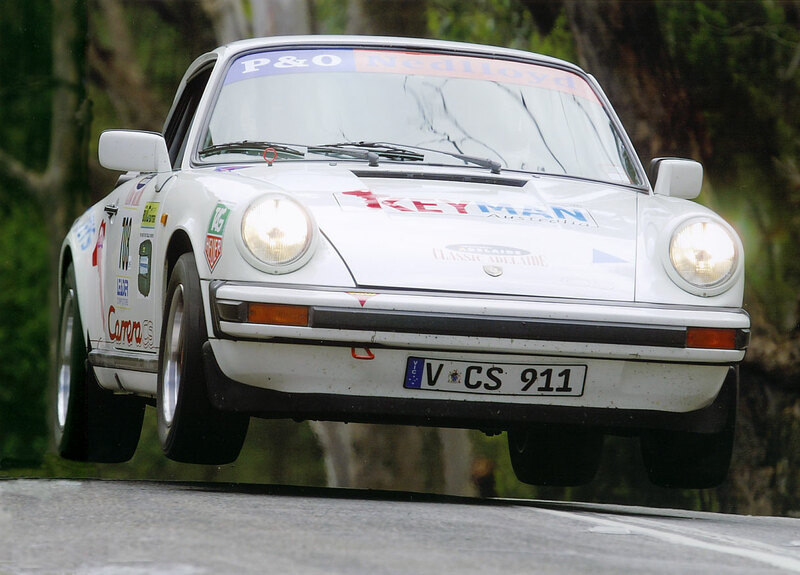 Spyder Automobiles first became involved with Ken’s 914/6 when it was a 2.5 litre 6 cylinder. 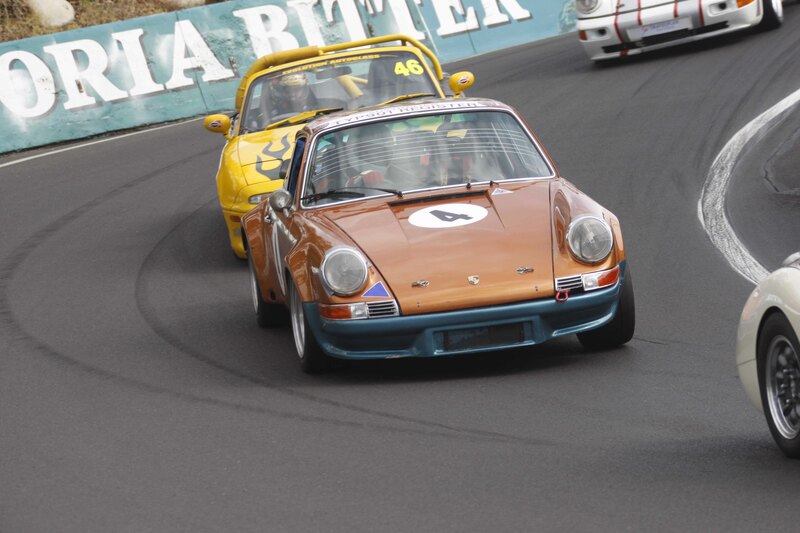 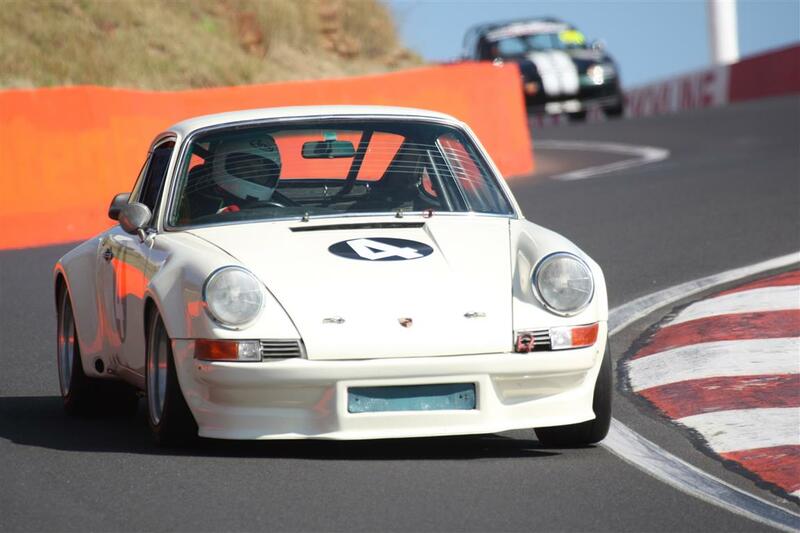 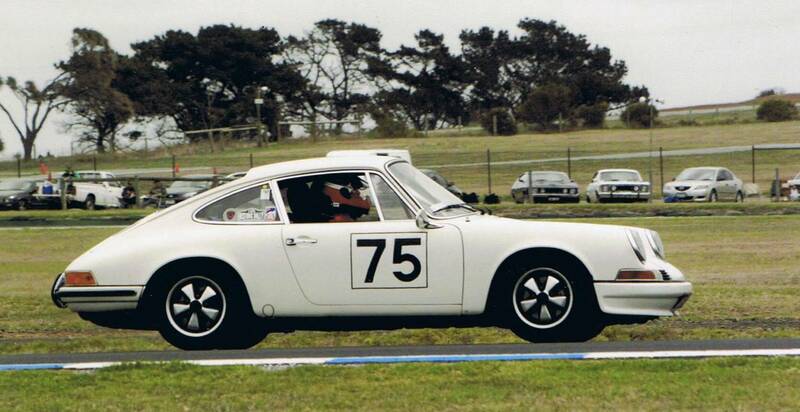 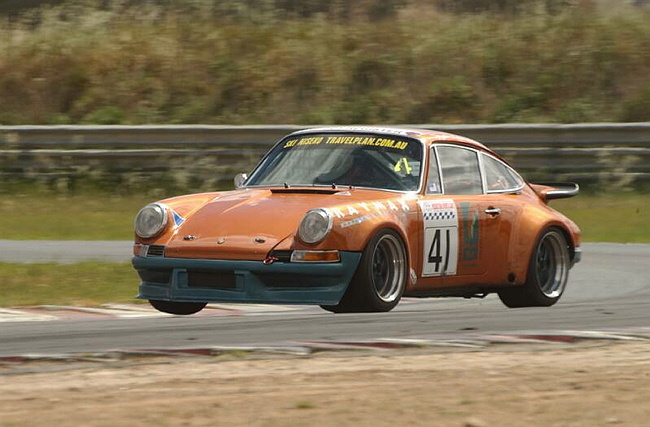 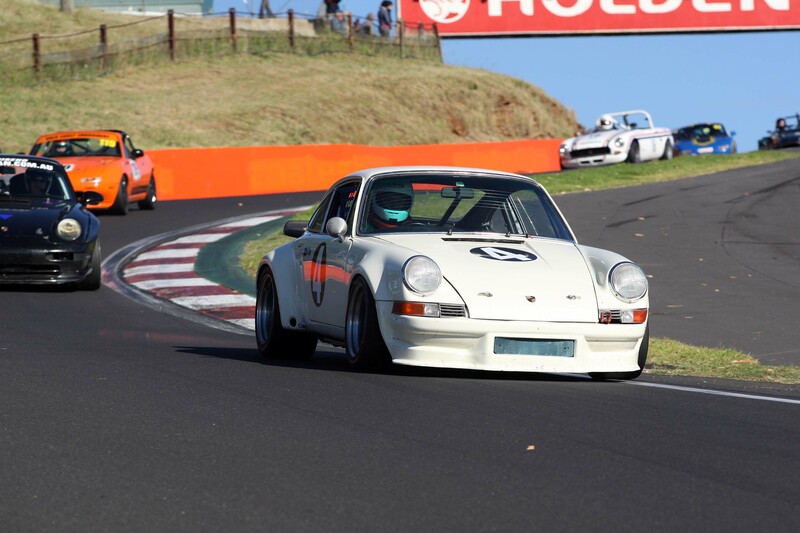 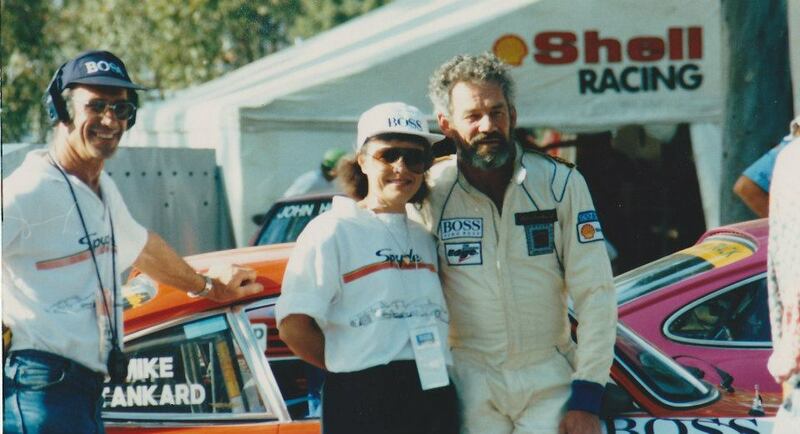 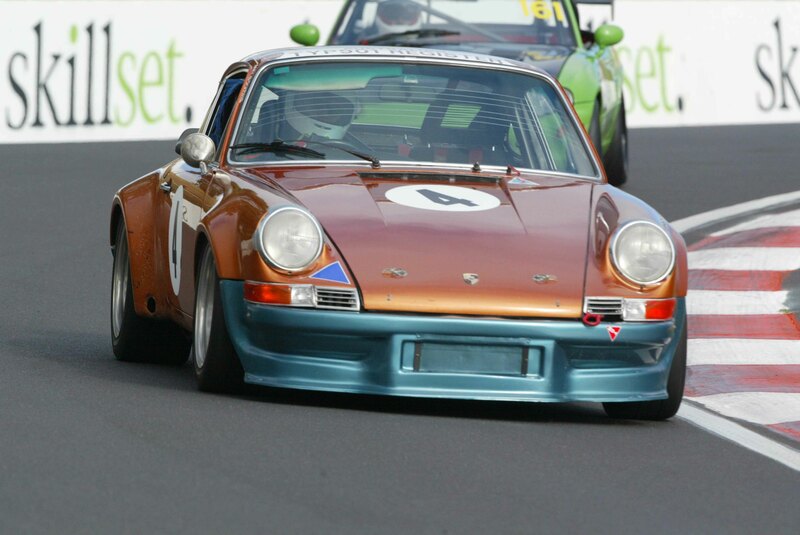 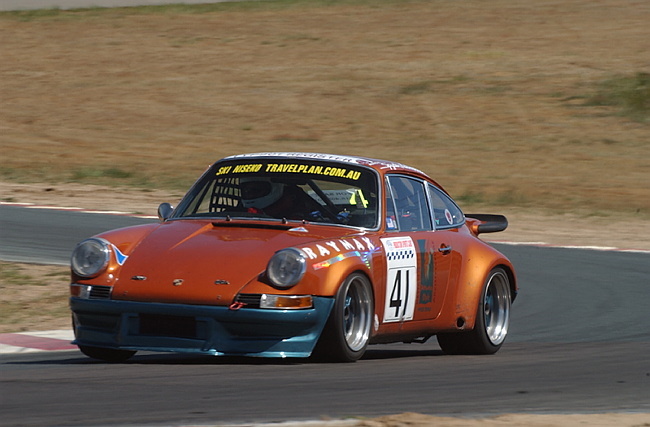 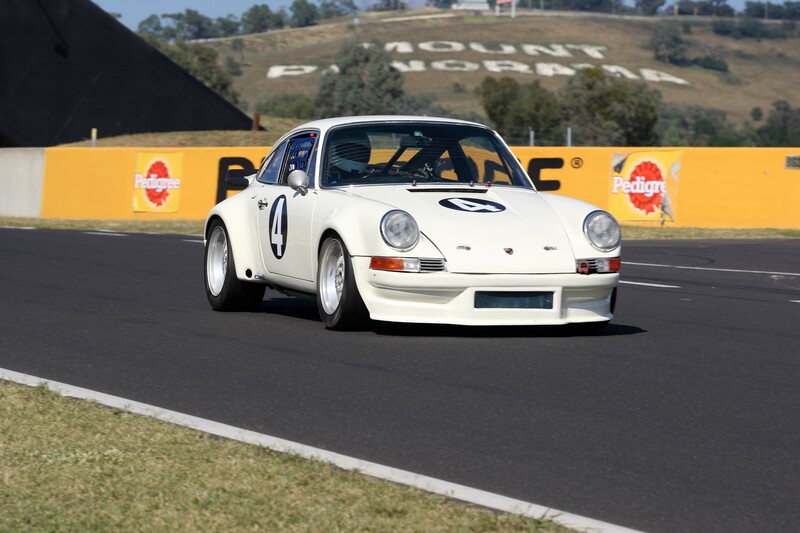 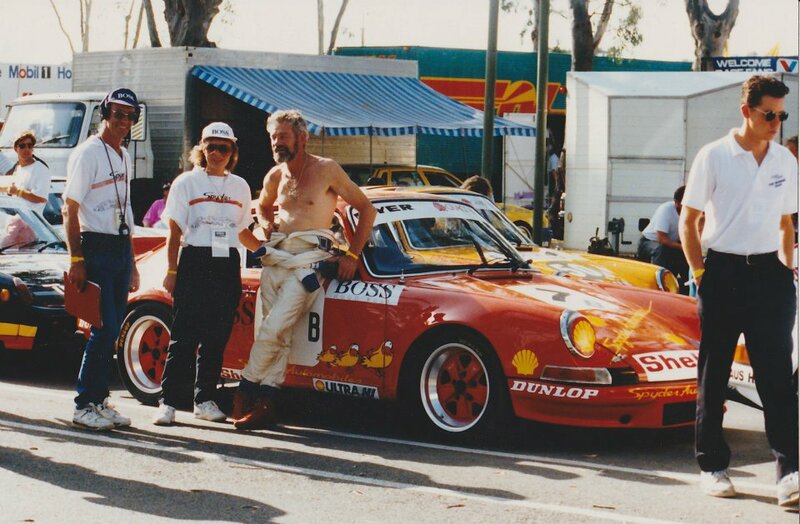 It was competing in the Australian Porsche Cup in class C. The car had been competing well and was reliable in the time we had prepared it in the 2.5 litre form. 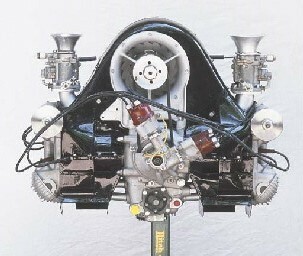 The engine was rebuilt to find some extra performance, however the power could not be greatly improved due to the Class structure being based on a power to weight ratio formula. 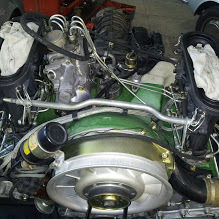 The decision was taken to concentrate on torque rather than power, with the engine repair and as a result the car was more competitive and was then a serious Class contender. 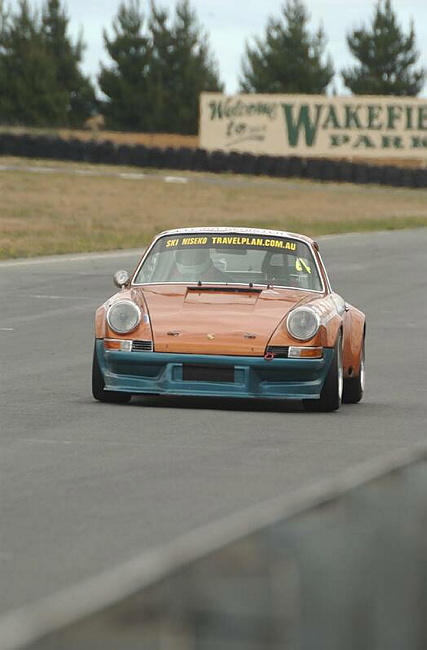 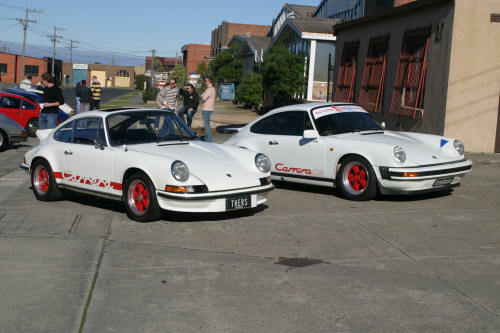 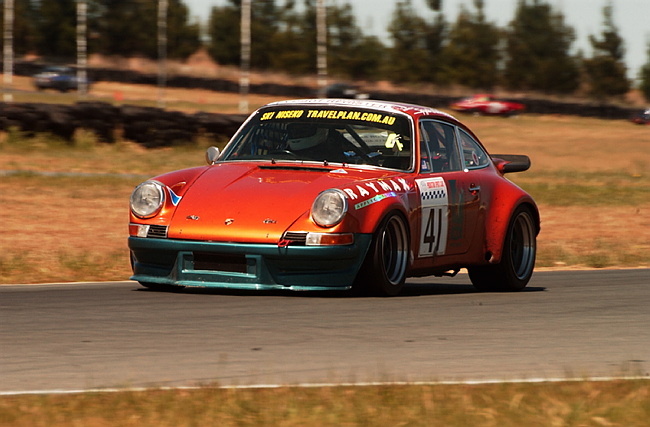 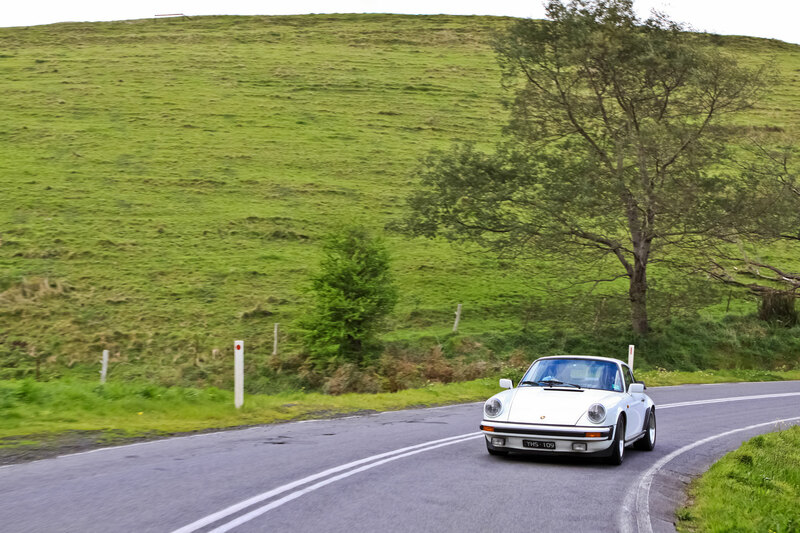 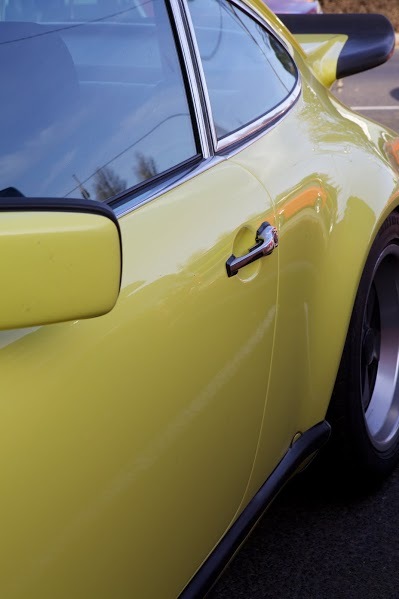 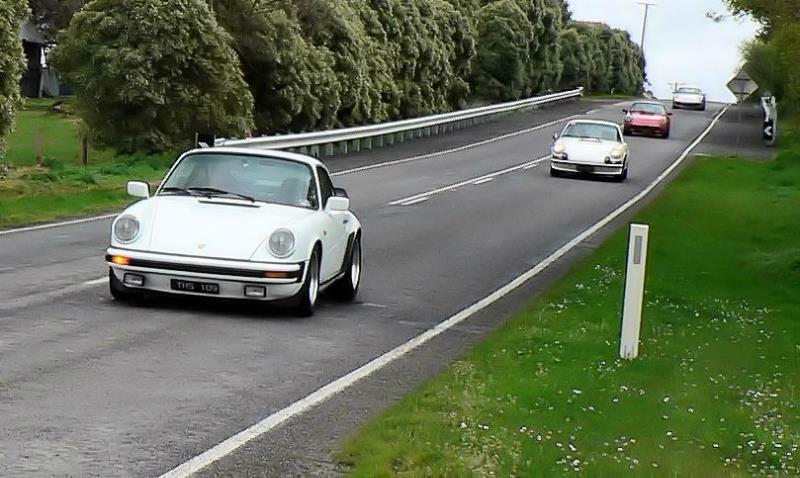 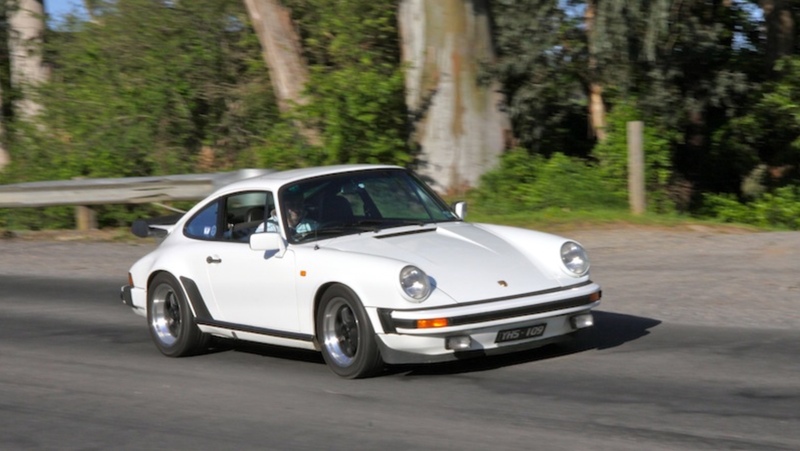 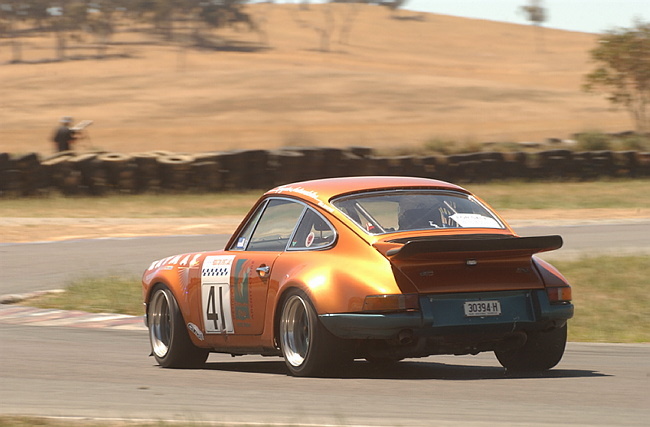 As time went by Class C was becoming less subscribed and it was eventually abandoned, along with the category!It was at this time the development of the car was really stepped up and the performance in every area improved, to compete in Porsche Club of Victoria events. 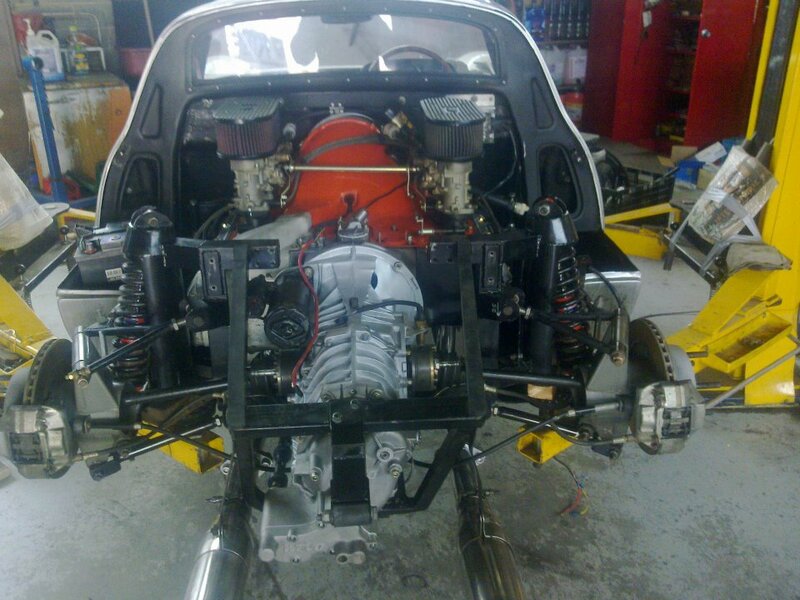 The car underwent a transformation with improvements in chassis, brakes, suspension, engine and gearing. 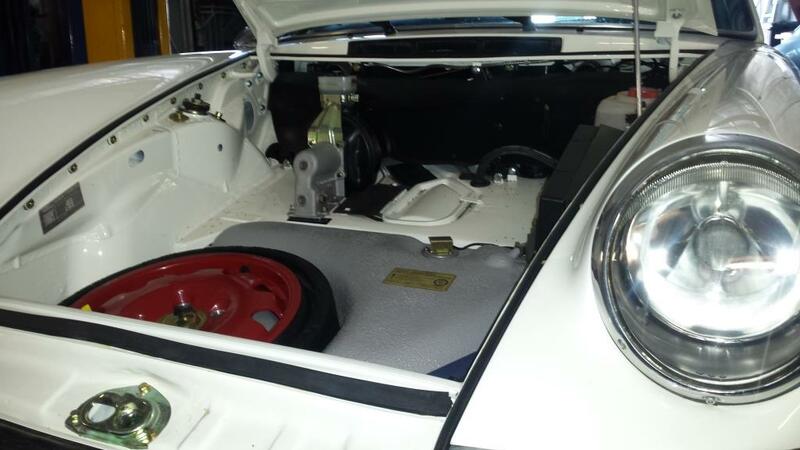 The improvements included, Chassis stiffening, shock absorber settings, brake up grades, and the biggest change came in the engine. 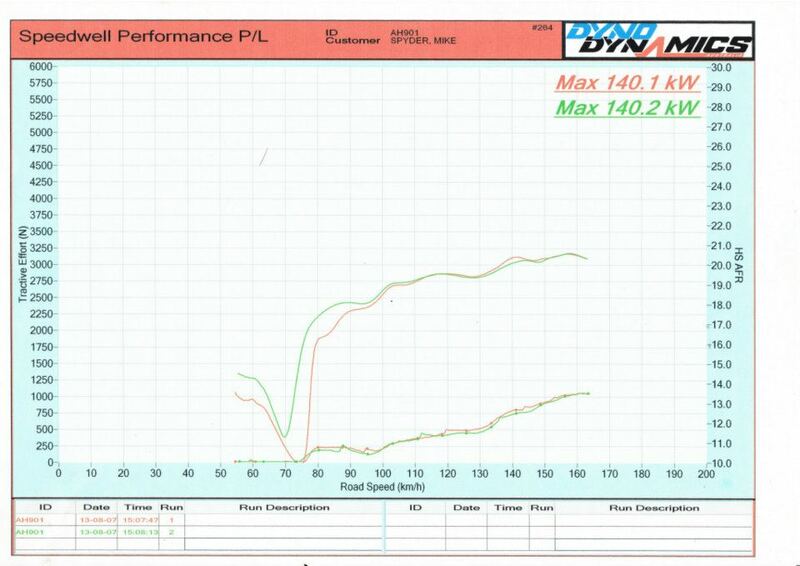 This was based on a 2.7 magnesium case and taken to 2993 cc, the torque was greatly improved and the power went up to 310hp at the flywheel! 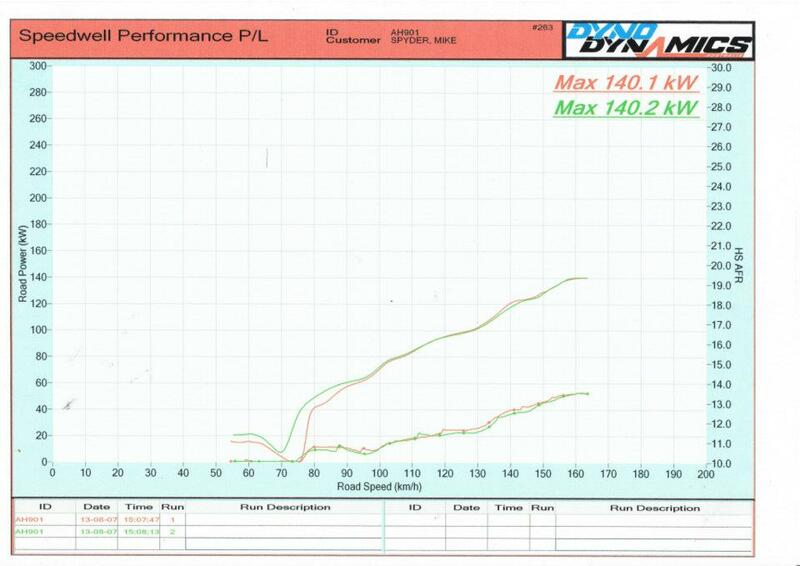 Making this a very strong and powerful unit, to go with this the gear ratios were optimised to suit and the transformation was complete. 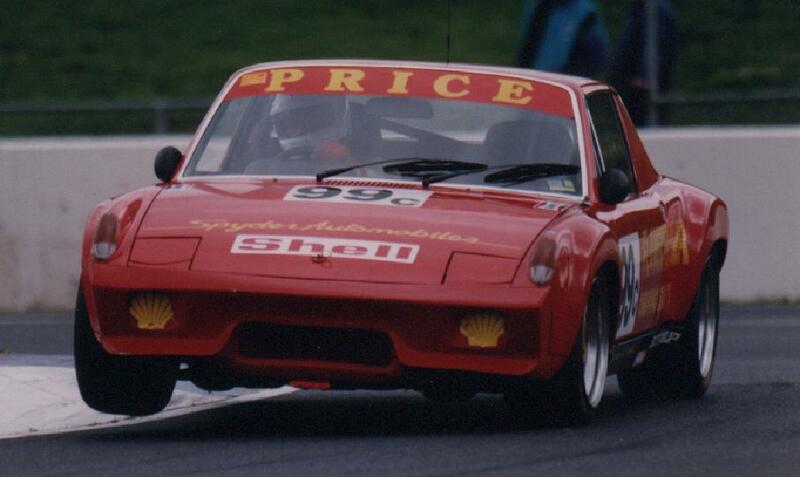 The 914/6 was then a competent and competitive car! 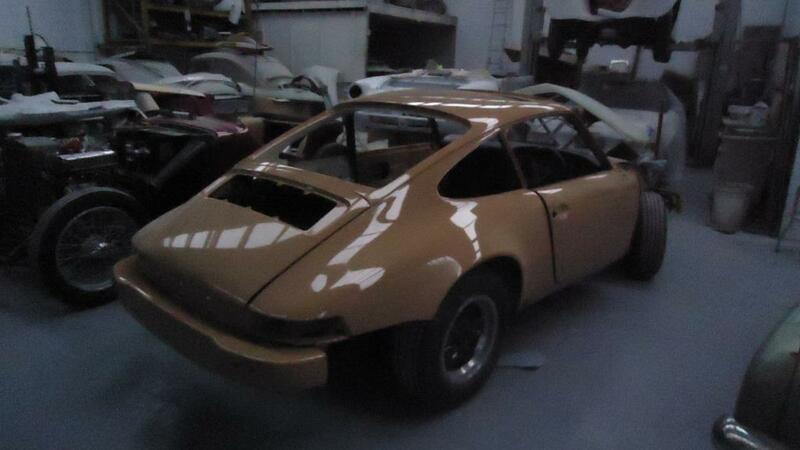 This car has recently had a cosmetic back date to a 1973 S body shape. 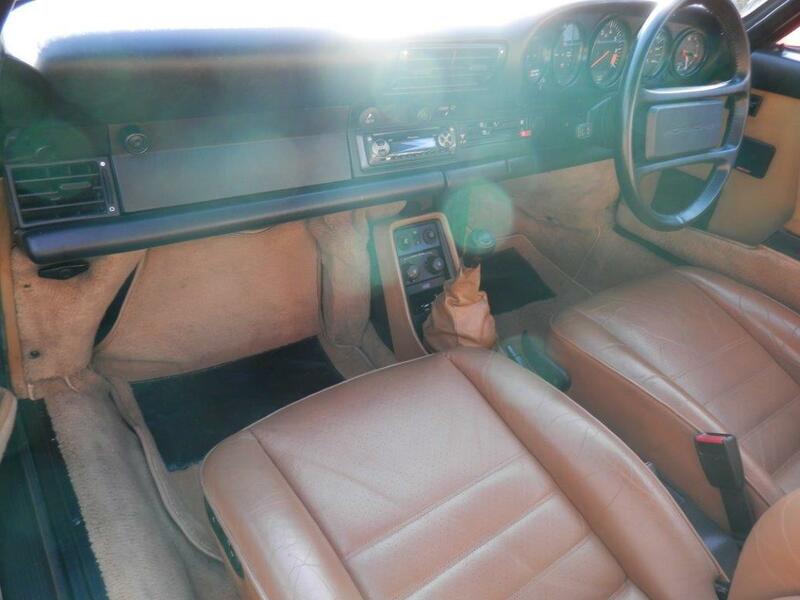 Features: New leather interior, custom electric seats, lightweight carpet, dual R style exhausts, a bare boot area and 7 x 16 front and 9 x 16 rear wheels. 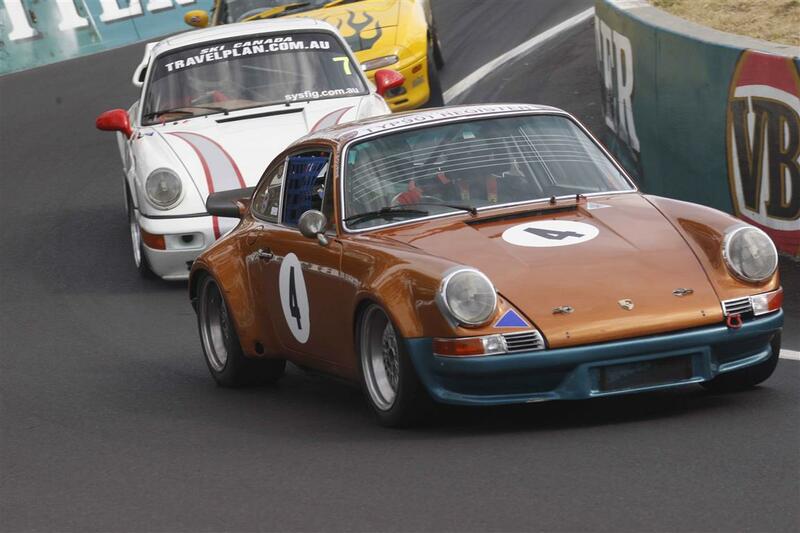 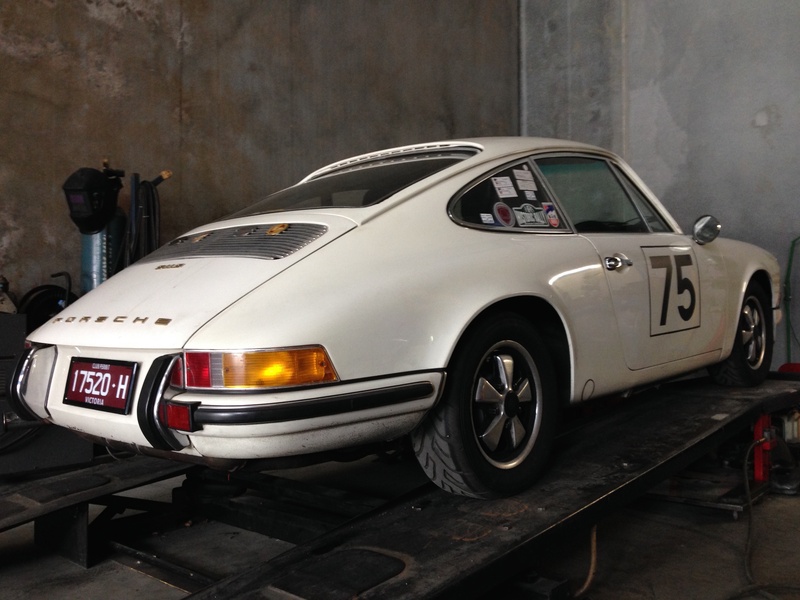 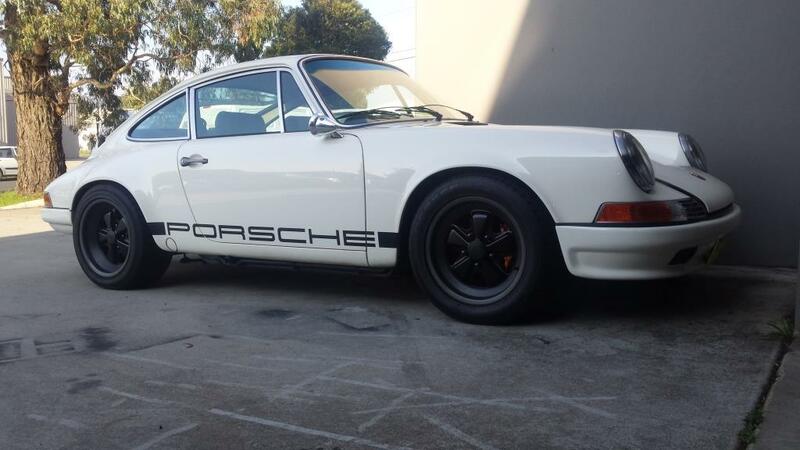 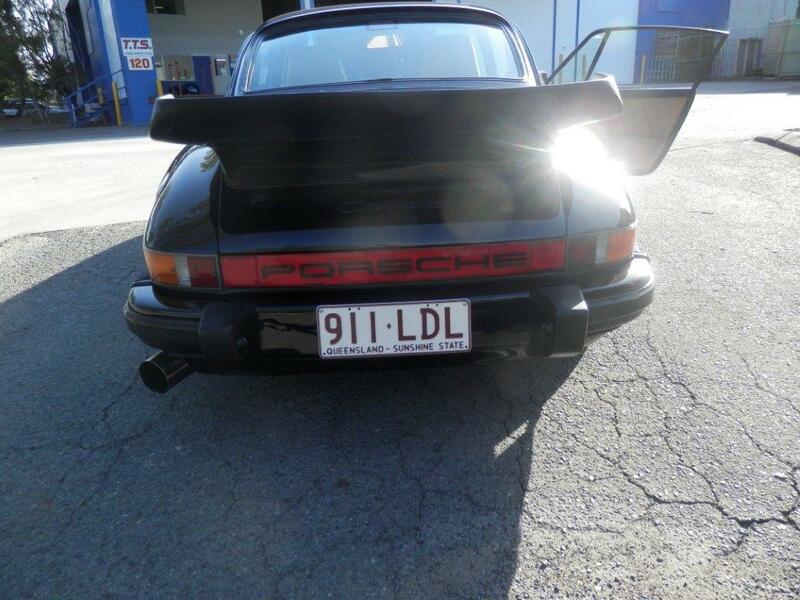 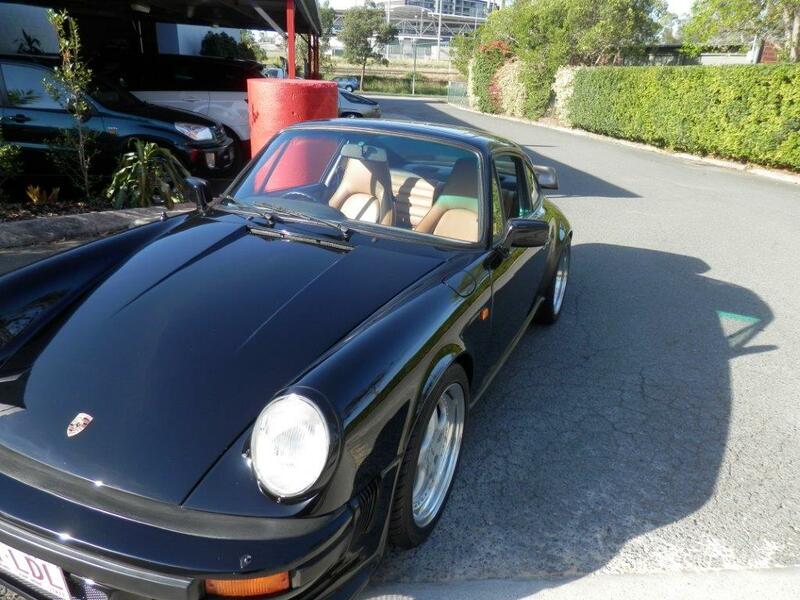 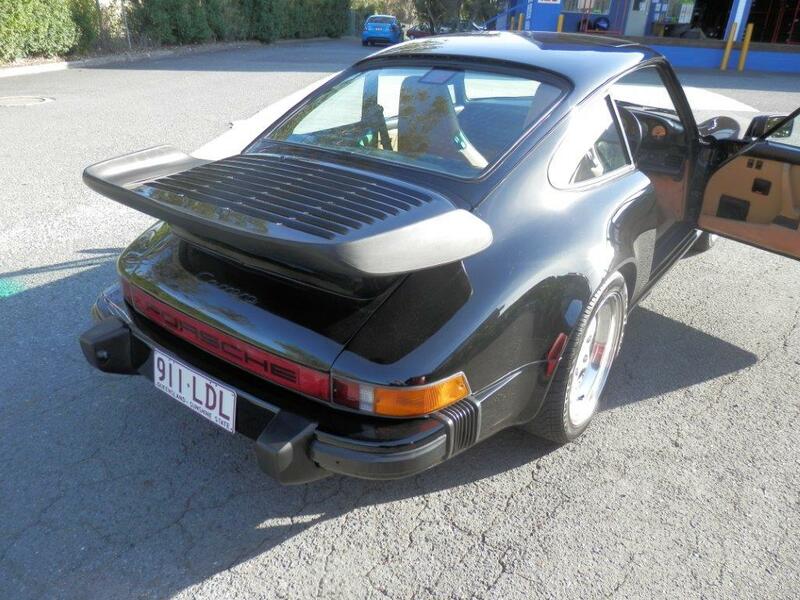 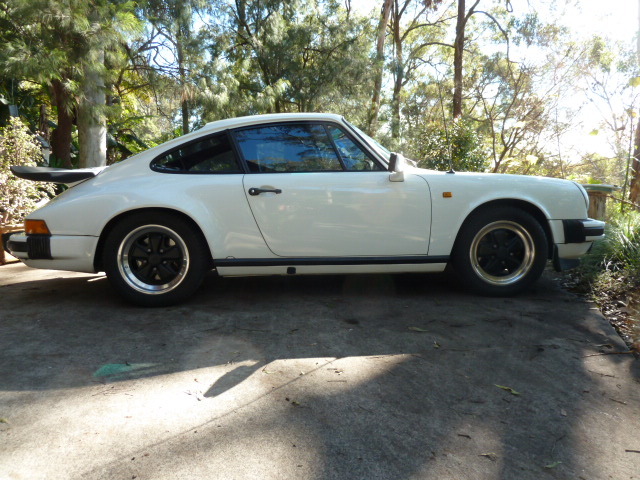 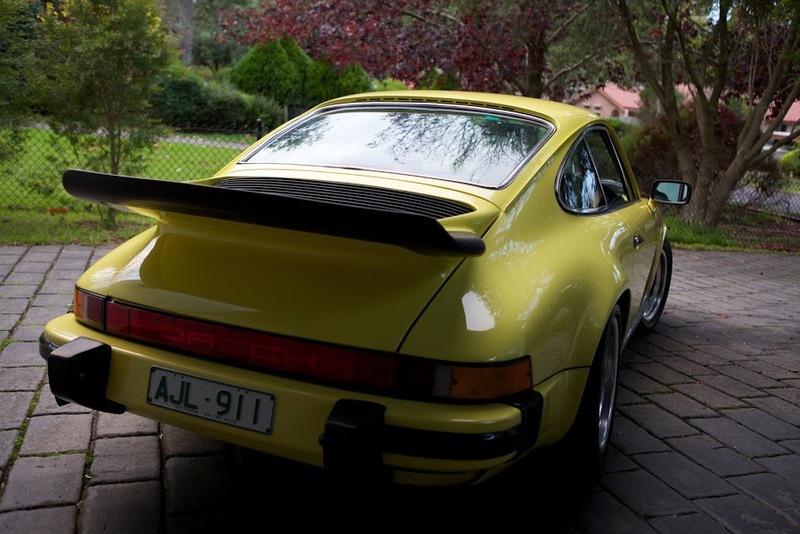 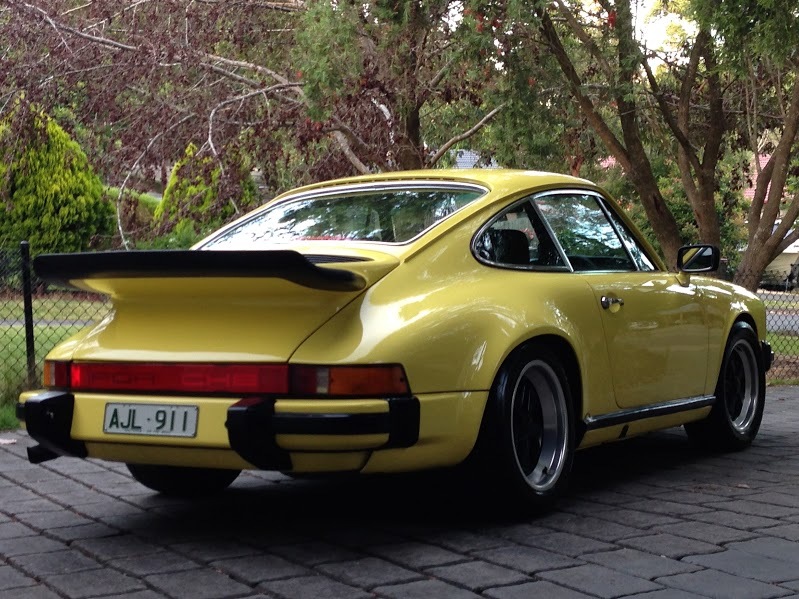 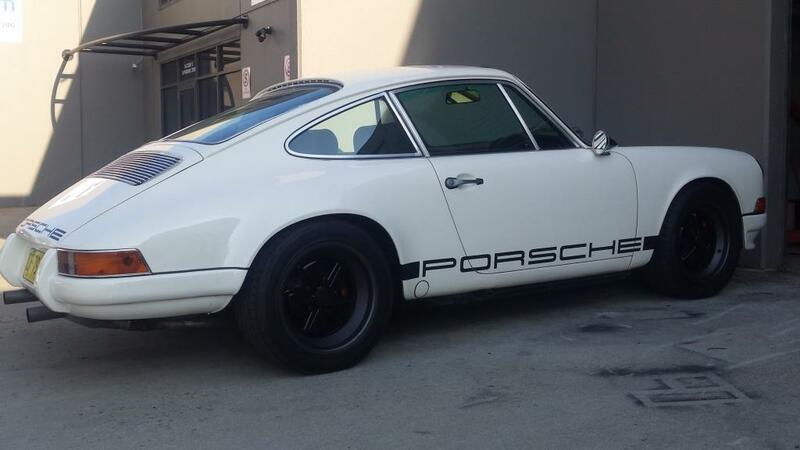 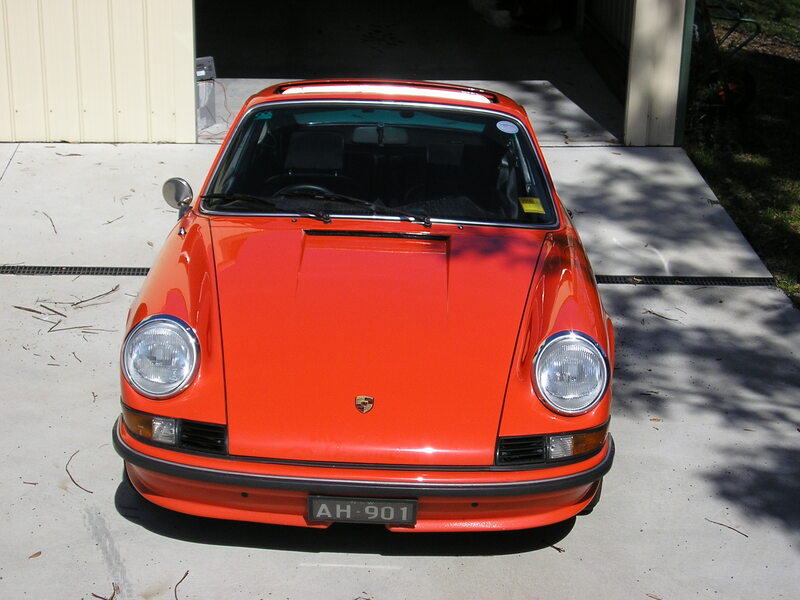 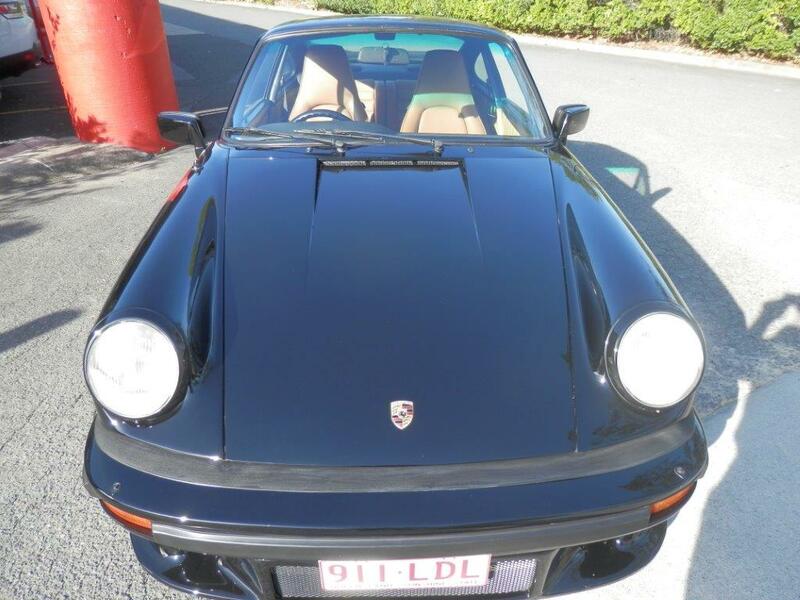 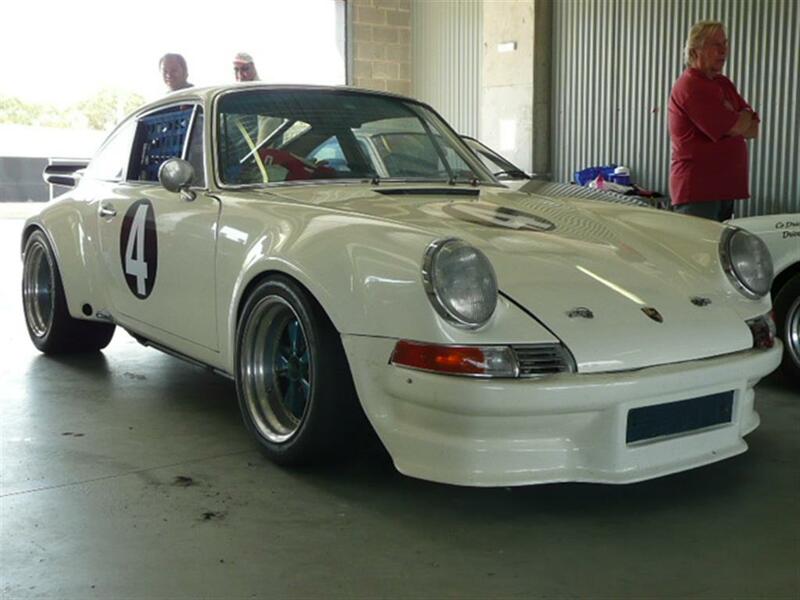 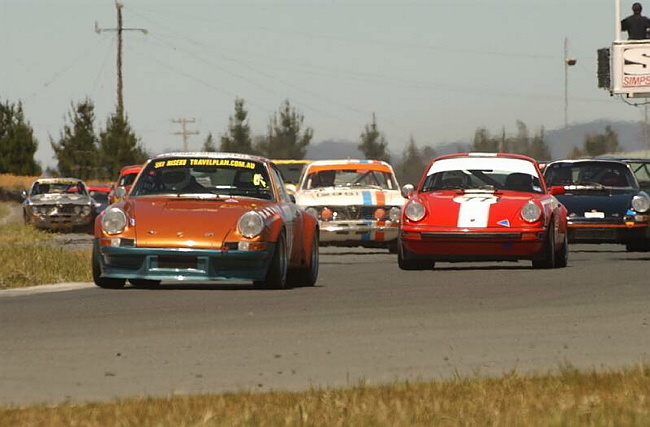 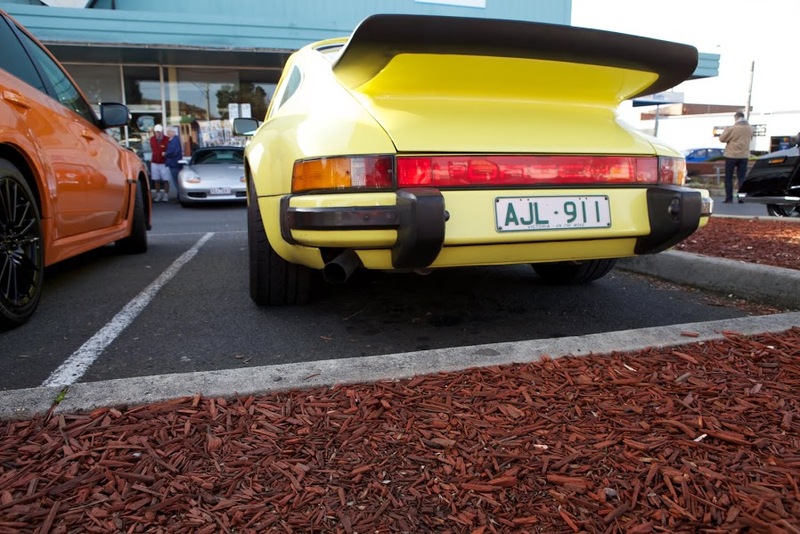 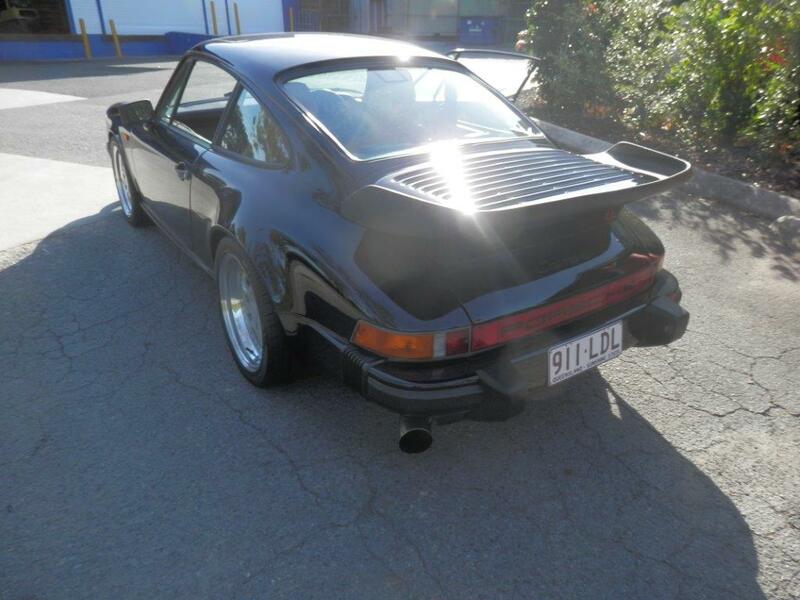 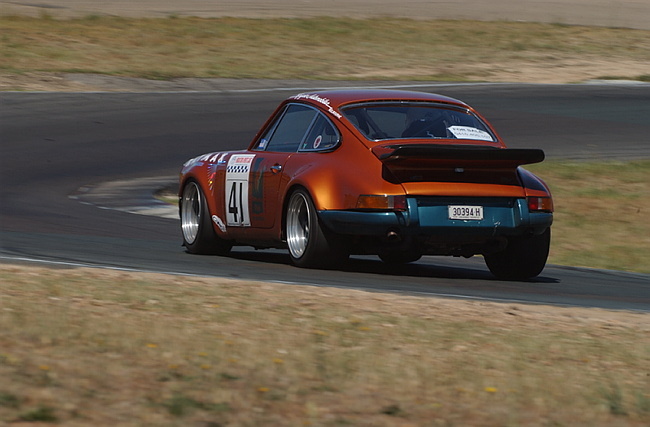 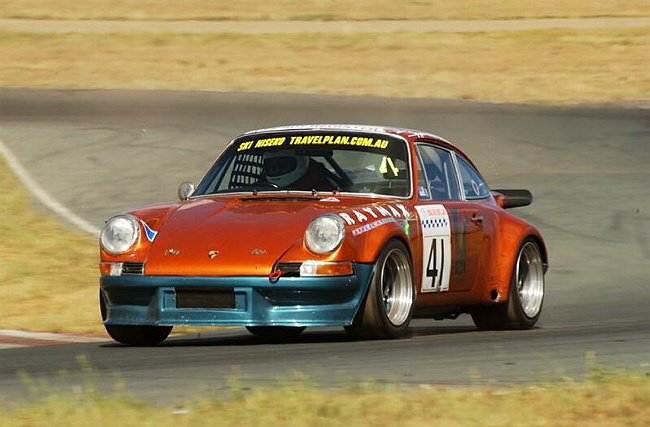 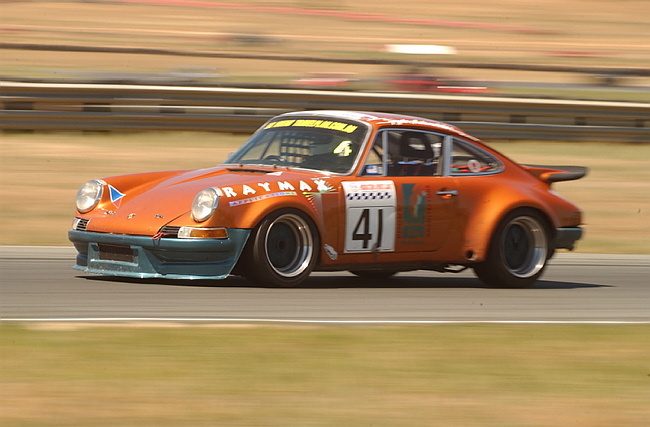 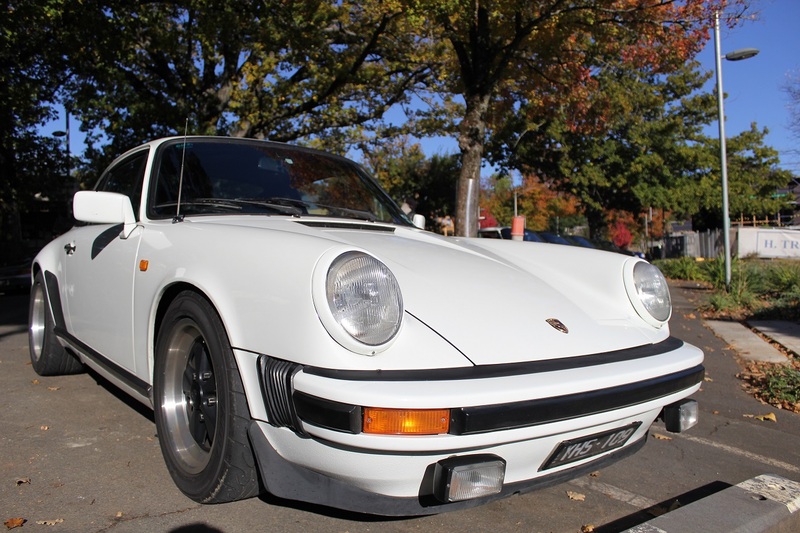 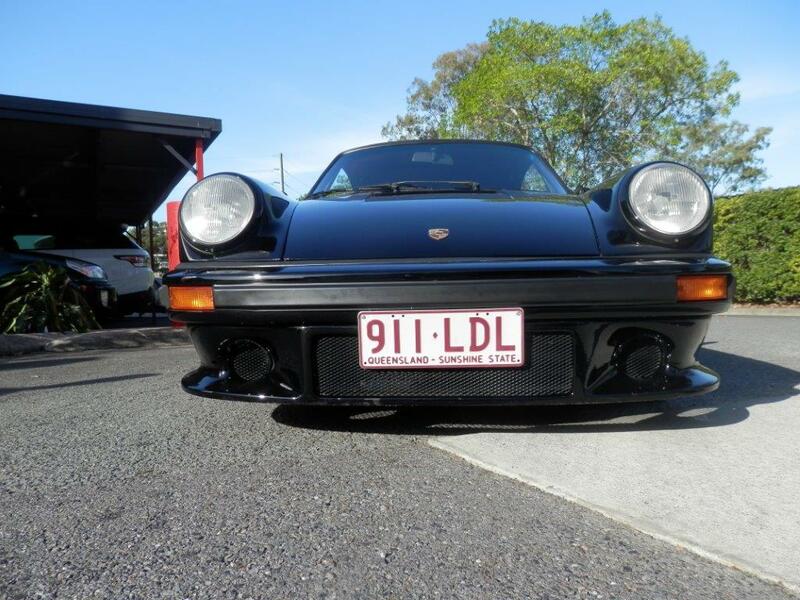 AJL 911 is a 1974 2.7 911 AJL 911 was delivered in Australia and was a 1974 2.7 Sportomatic standard 911. 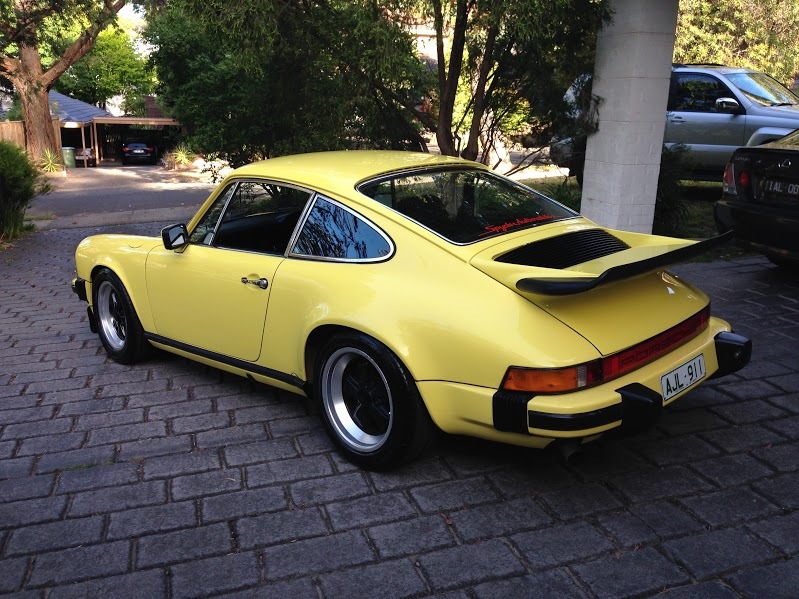 This car has been in the care of Spyder Automobiles now since about 1985! 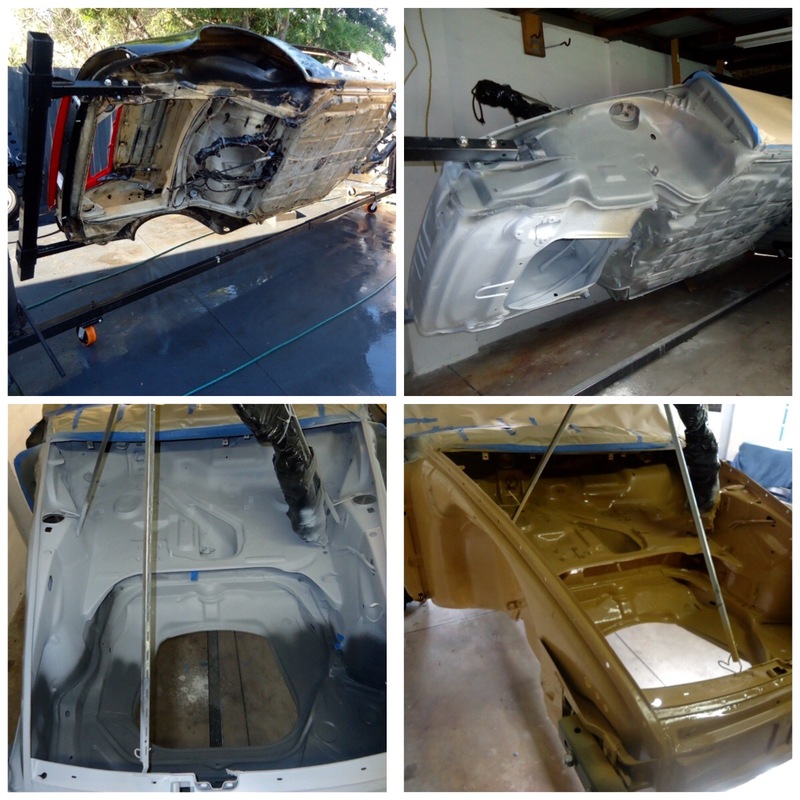 Spyder Automobiles has been responsible for the transformation of this car across the years and for 3 owners now and 2 families. 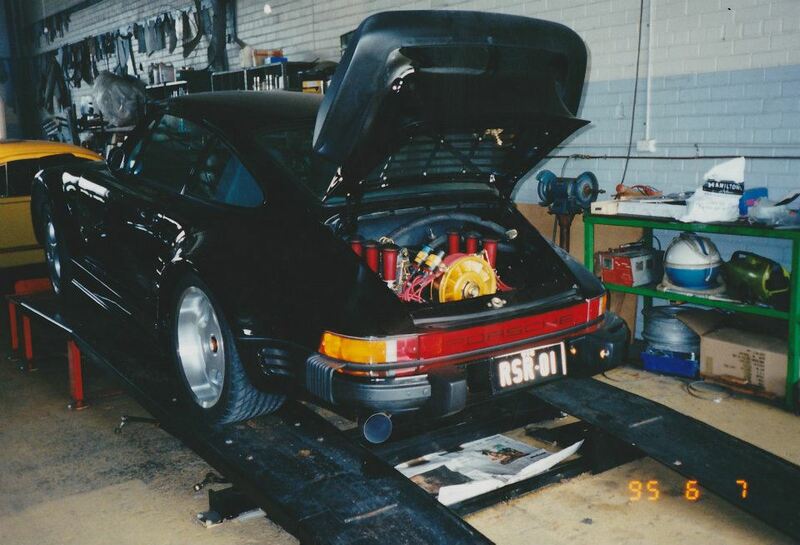 The greatest changes came when it moved from South Australia to Melbourne and the engine and gearbox were rebuilt and modified to where it is now! 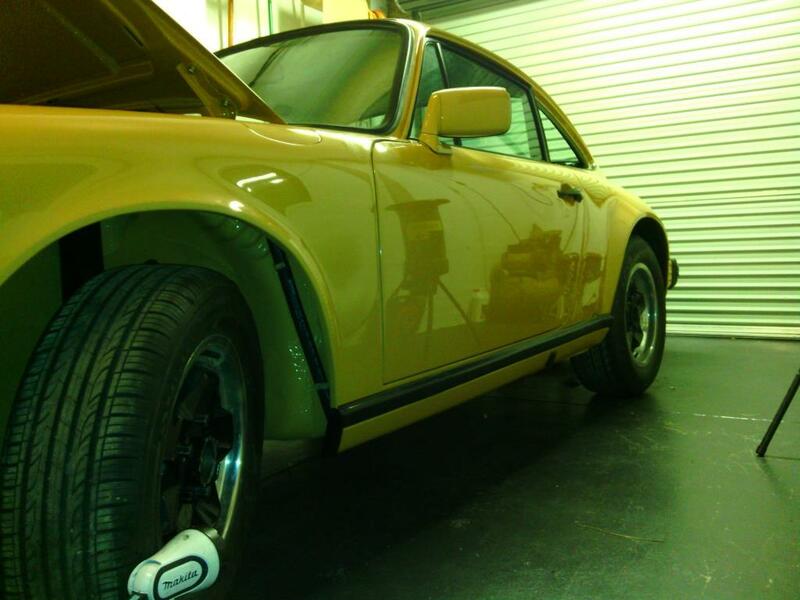 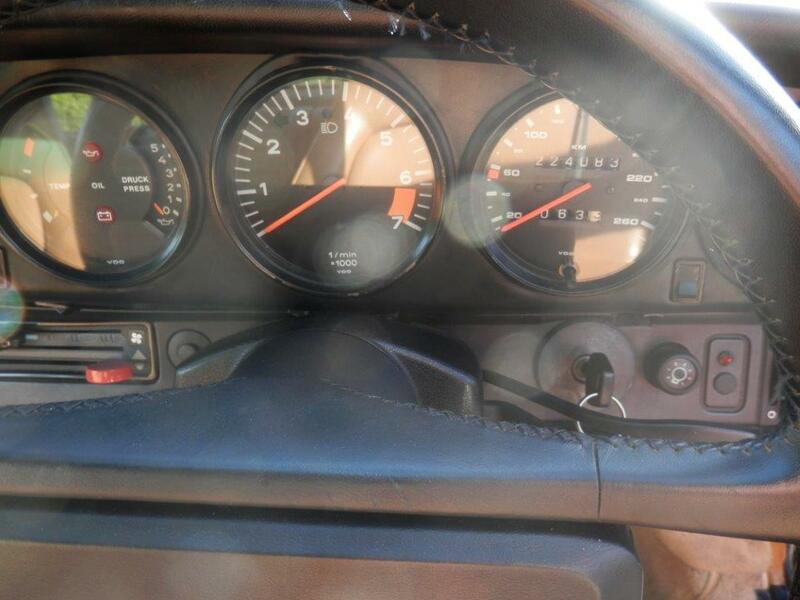 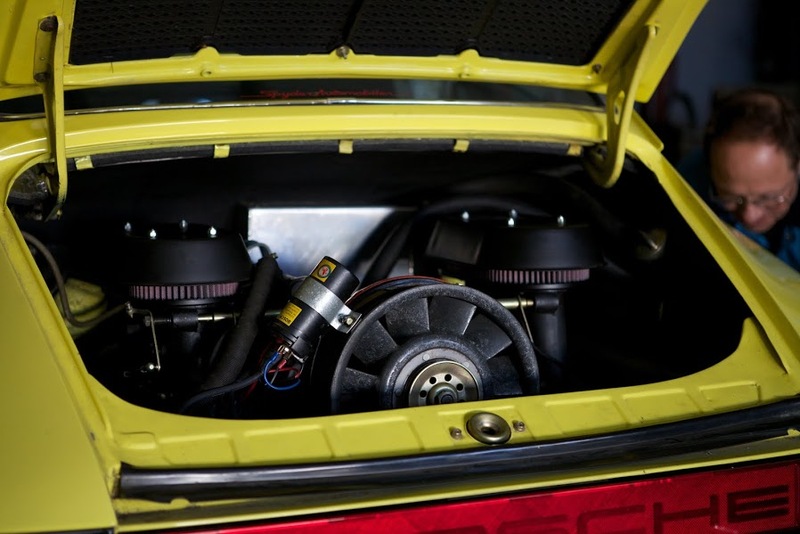 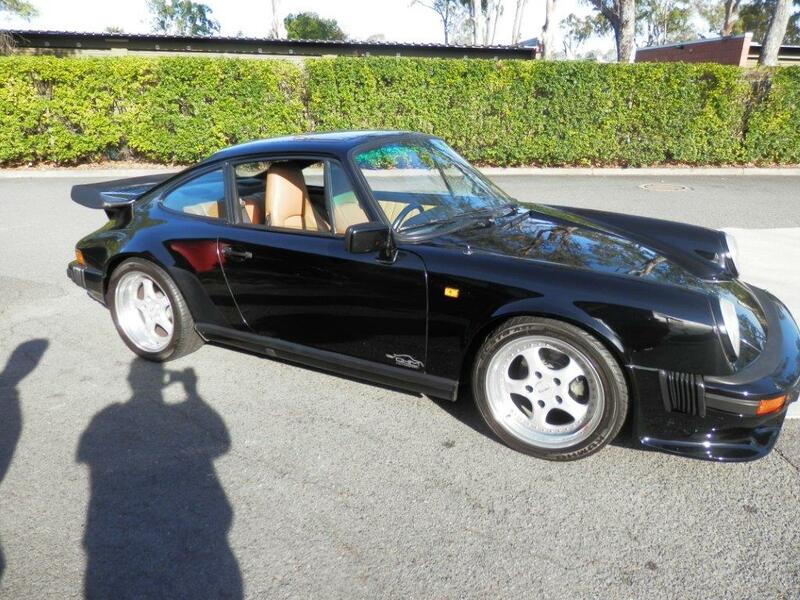 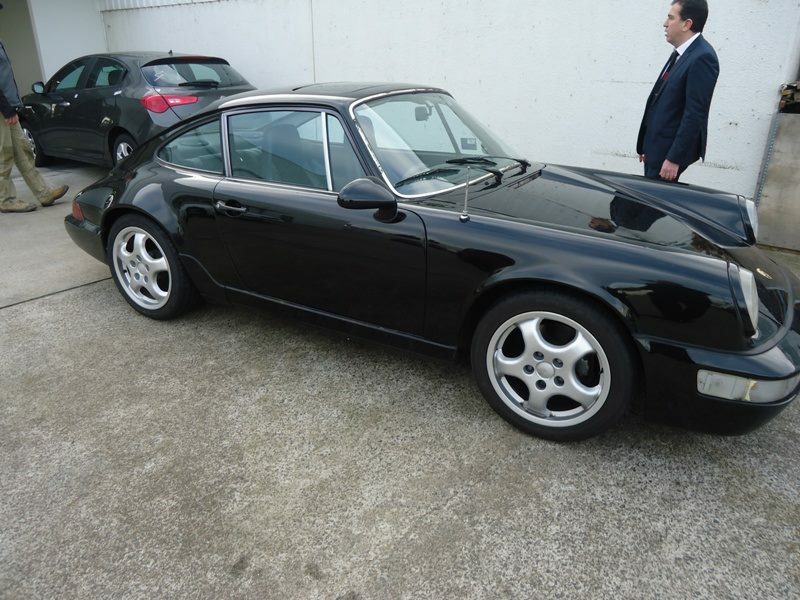 The engine has been modified to 2.7 Carrera, specification with extra improvements and modifications. 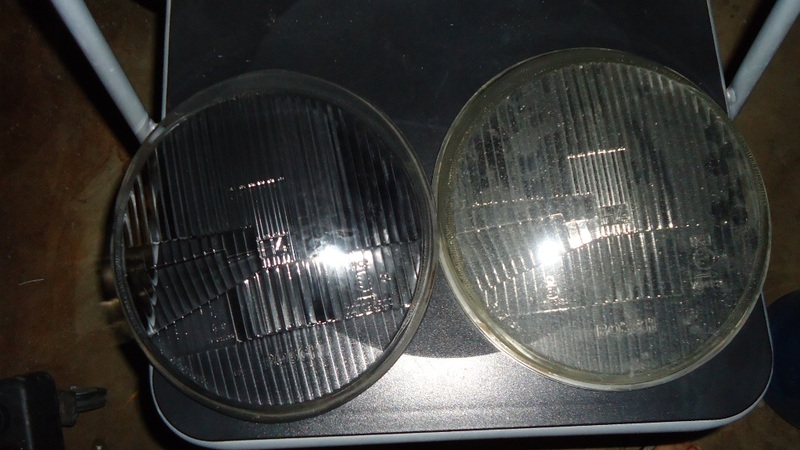 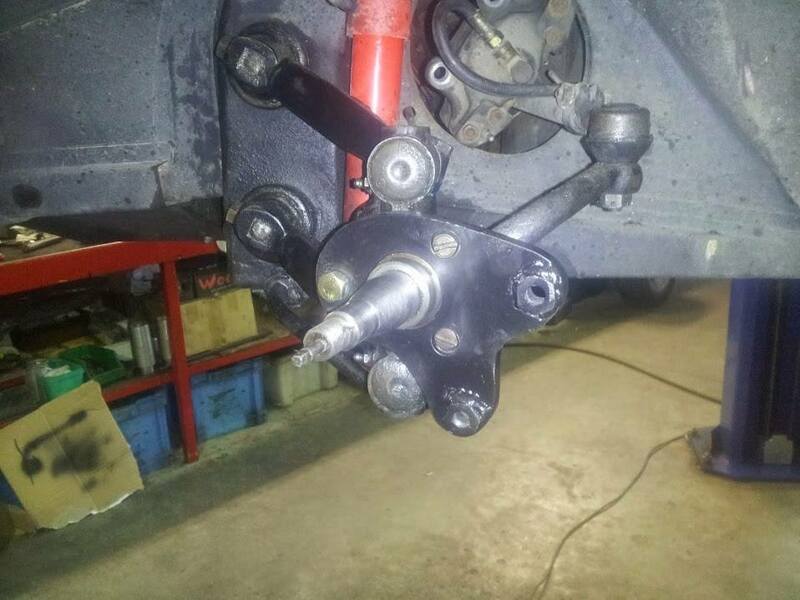 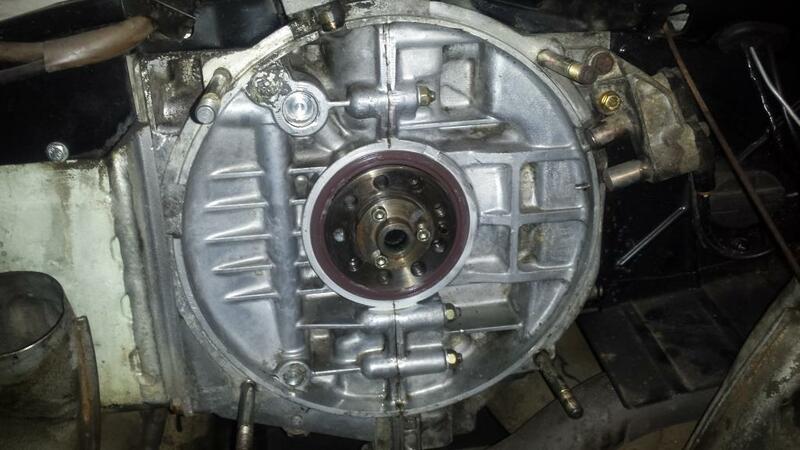 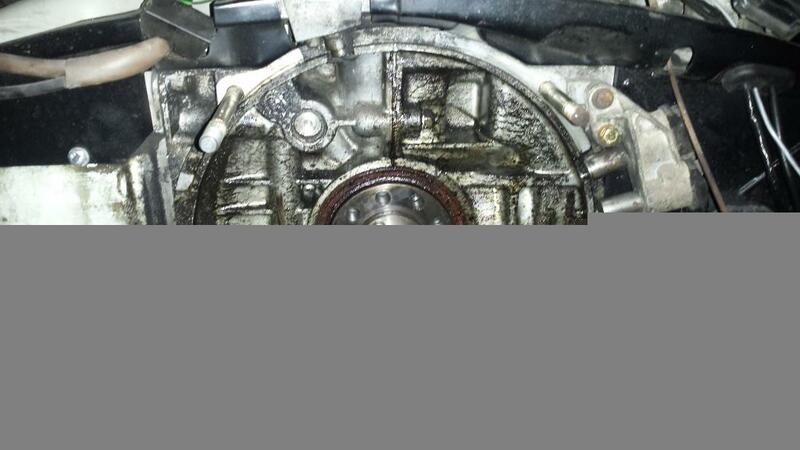 At the same time the gearbox modifications were completed as an overhaul and optimization of the gear ratios. 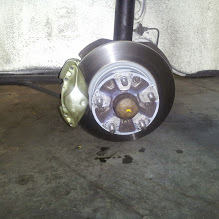 The suspension was modified to allow for a good blend of ride quality and road holding, the brakes also received some special treatment. 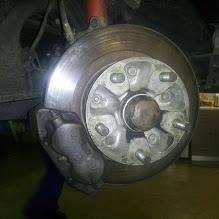 The modifications to the braking system include, 4 spot calipers at the front and rear, slotted brake discs, higher boiling point brake fluid, semi competition brake pads and a brake balance bar with remote adjustment! 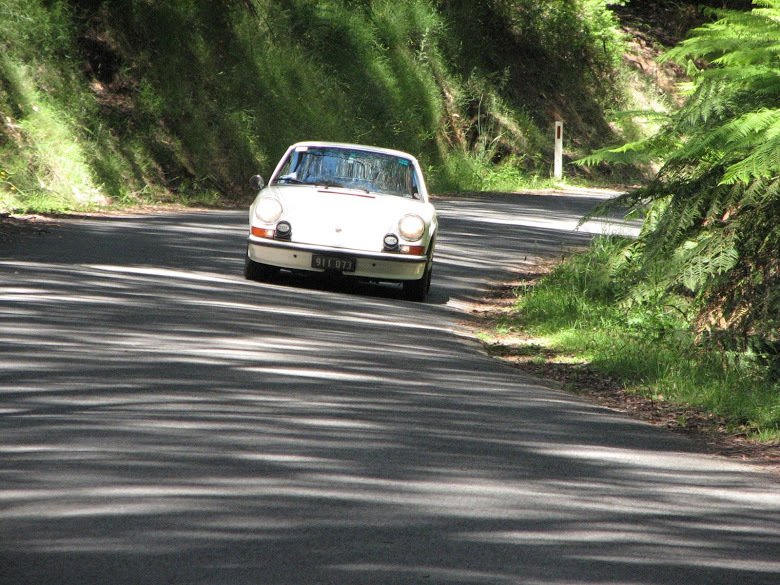 The end result is a car that performs exceptionally well, is very usable and a whole lot of fun! 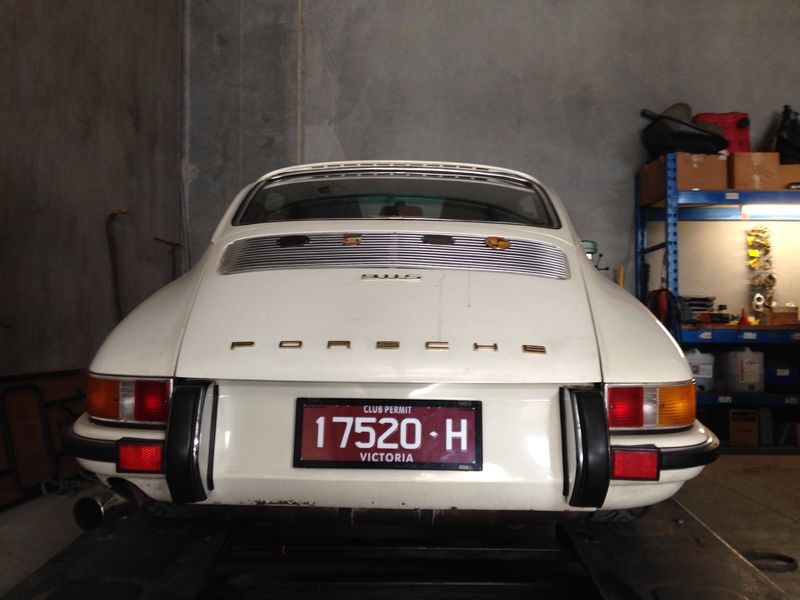 Andrew, the current owner took over the custodianship of this car from his Father in 2012 when he passed away. 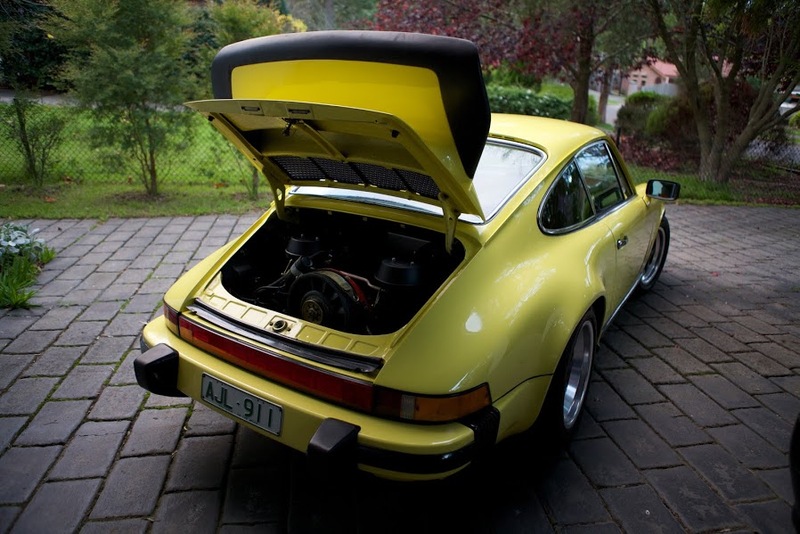 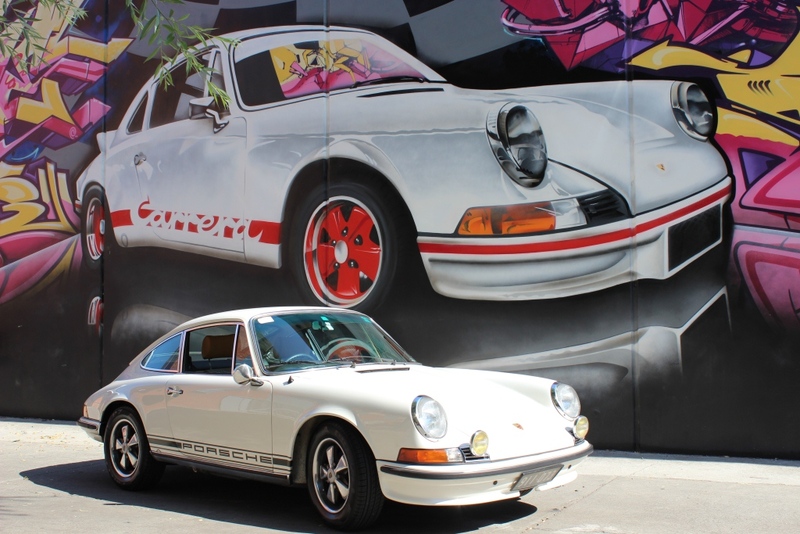 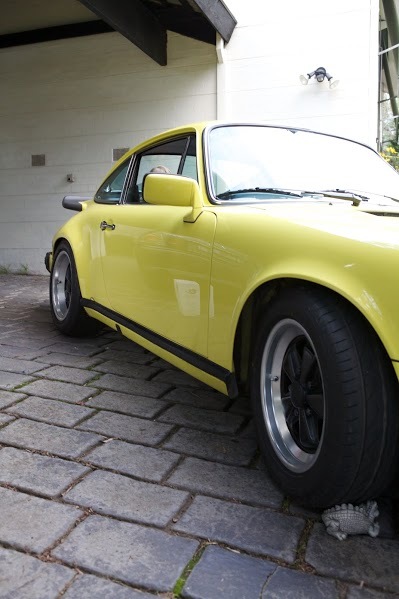 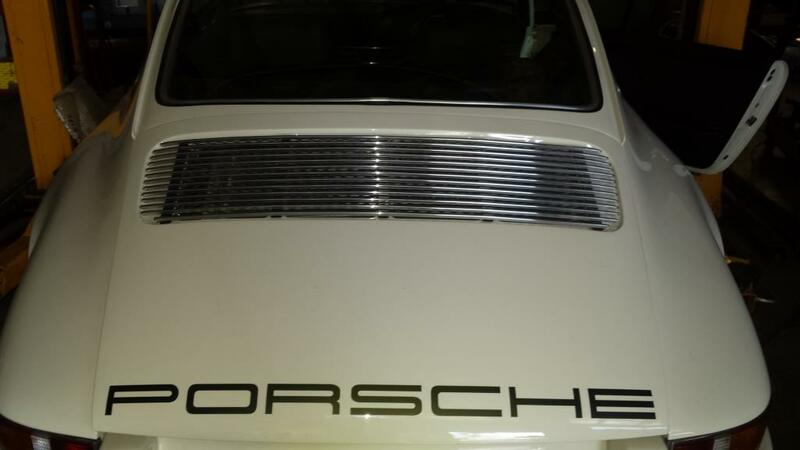 During the time Brian had it there was also a 3.2 Carrera engine that has recently been sold to another client for his 911 SC. 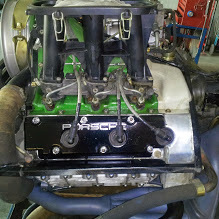 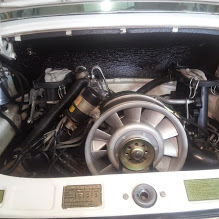 This engine has 245hp and a gearbox with a ZF LSD which have done only 30,000 kms. 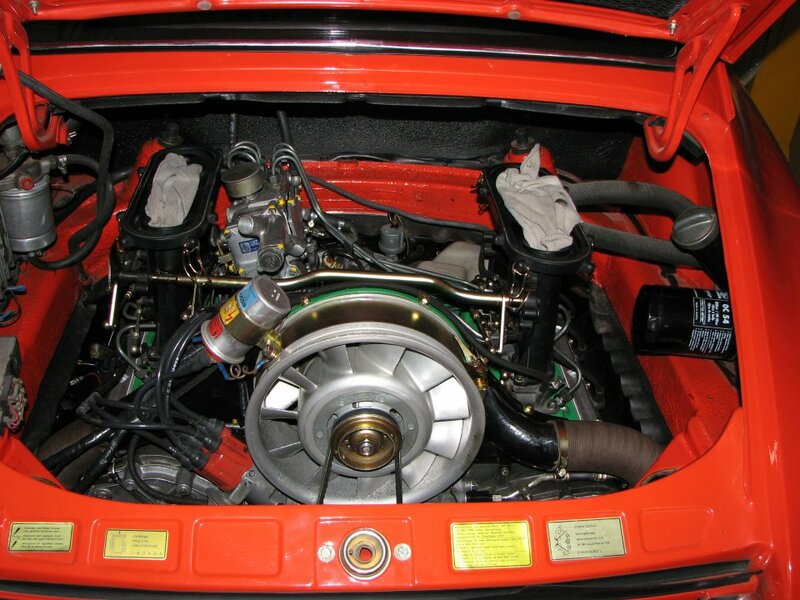 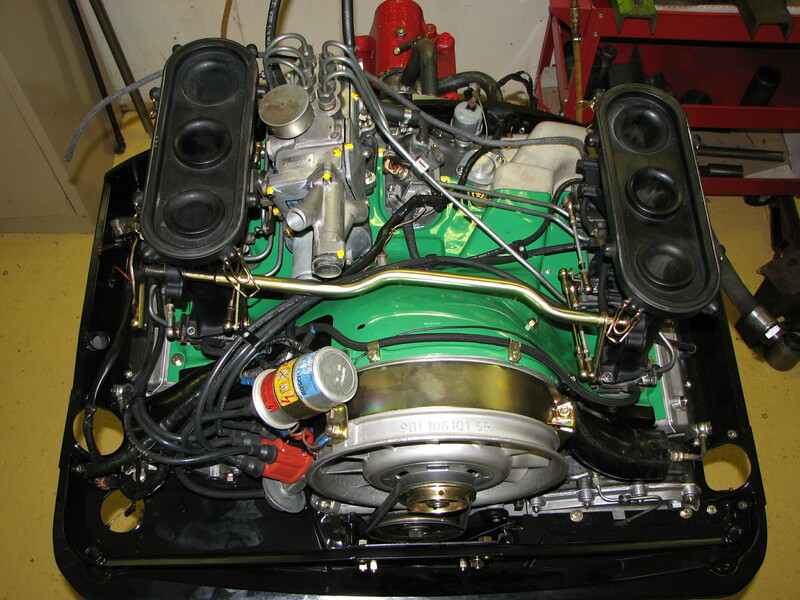 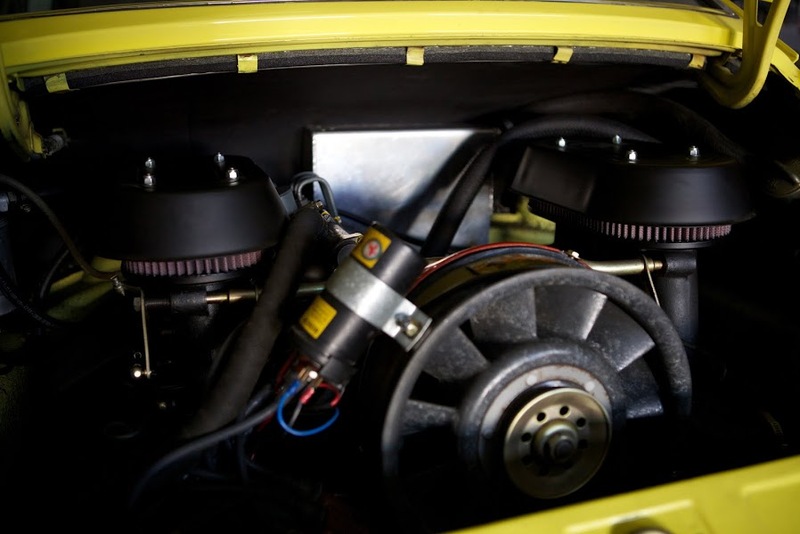 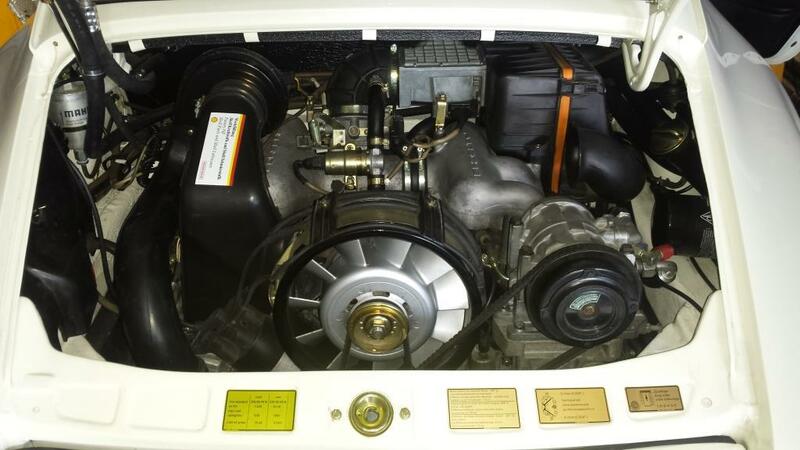 This engine and gearbox combination were in AJL911 when Brian passed away, his preference was always for the 2.7 engine and with respect to Brian’s wishes the 2.7 engine was refitted to the car! 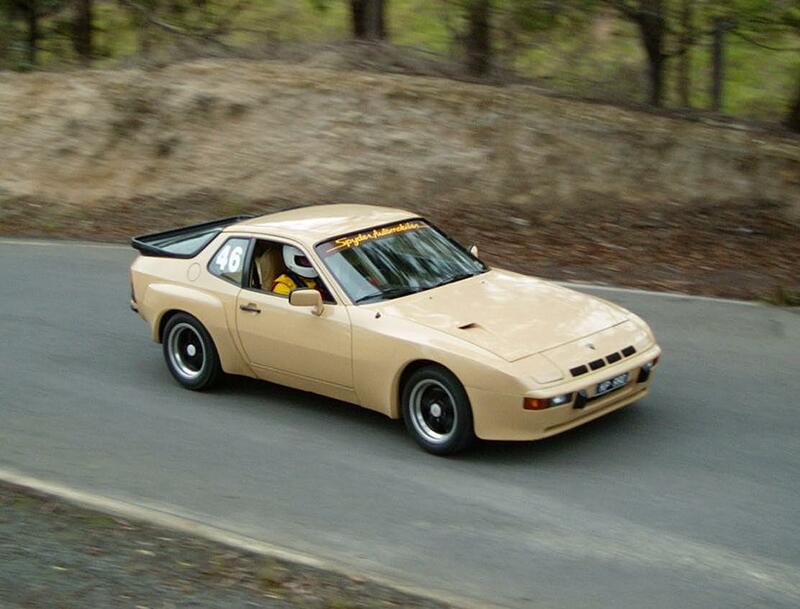 The 924 Turbo was a limited production version of the 924. 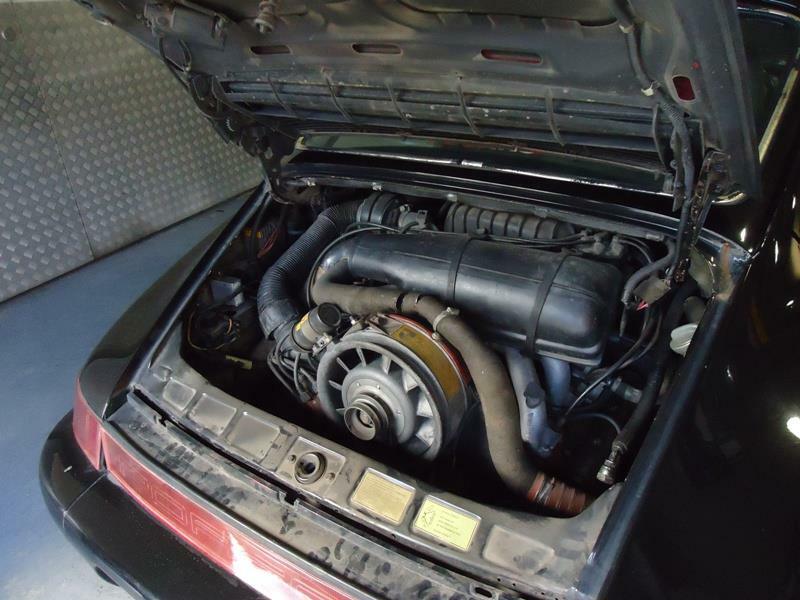 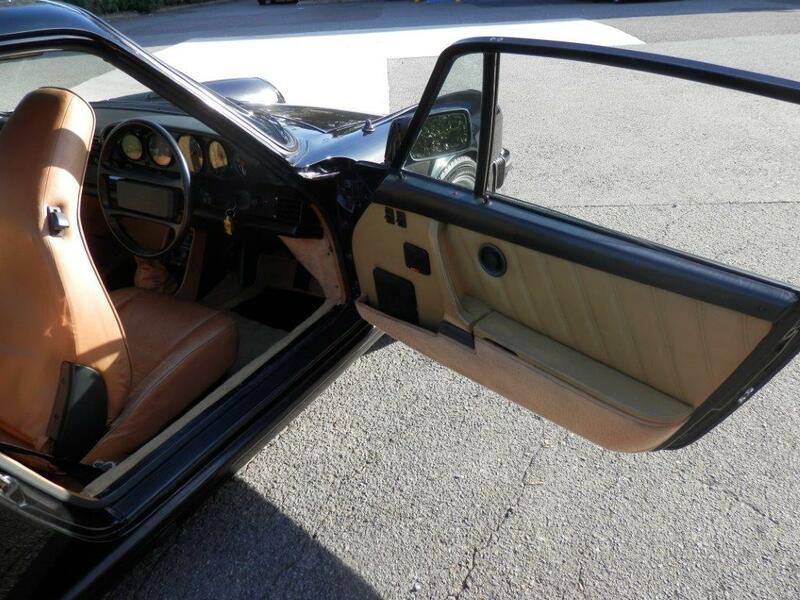 It was towards the end of the production run of the 924 and featured the 944 body shape, with a turbo version of the 924 2 litre single overhead cam engine. 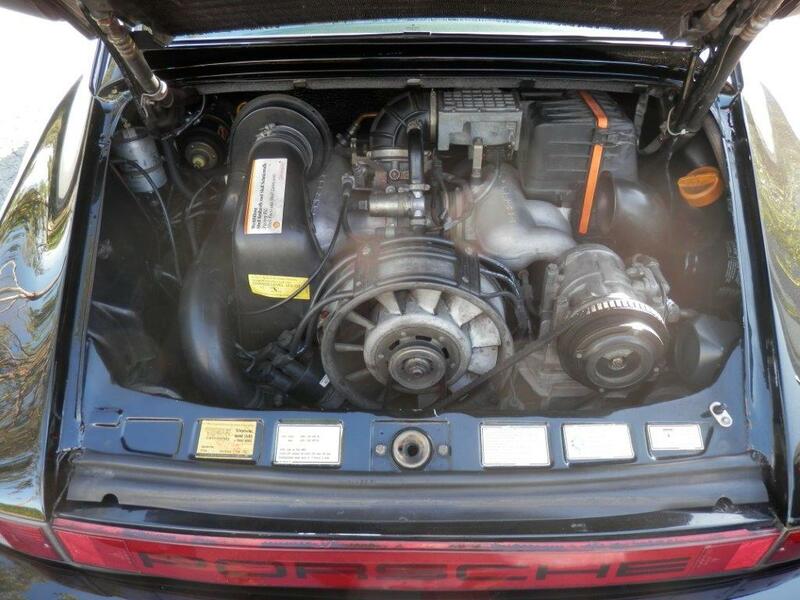 This engine brought life to the 924 chassis!Ken had owned this 924 Turbo as his first Porsche he used to good effect in club events and in general usage. 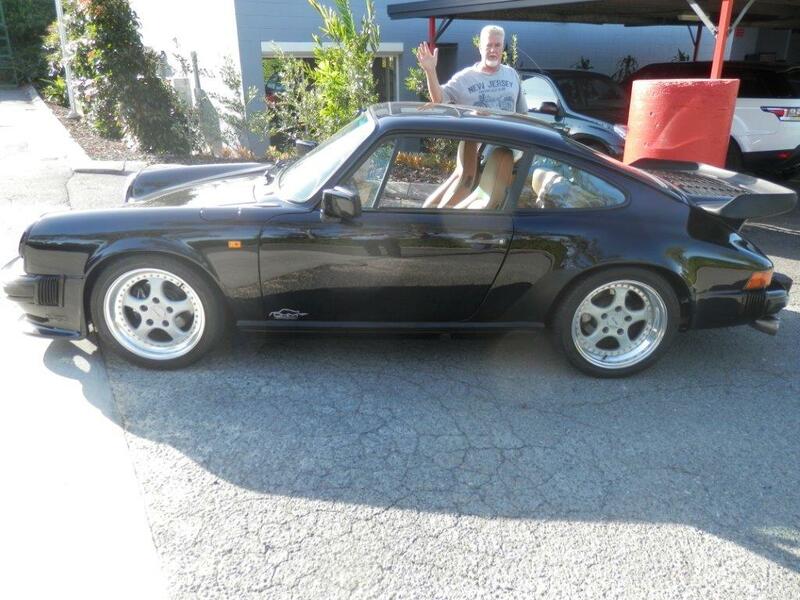 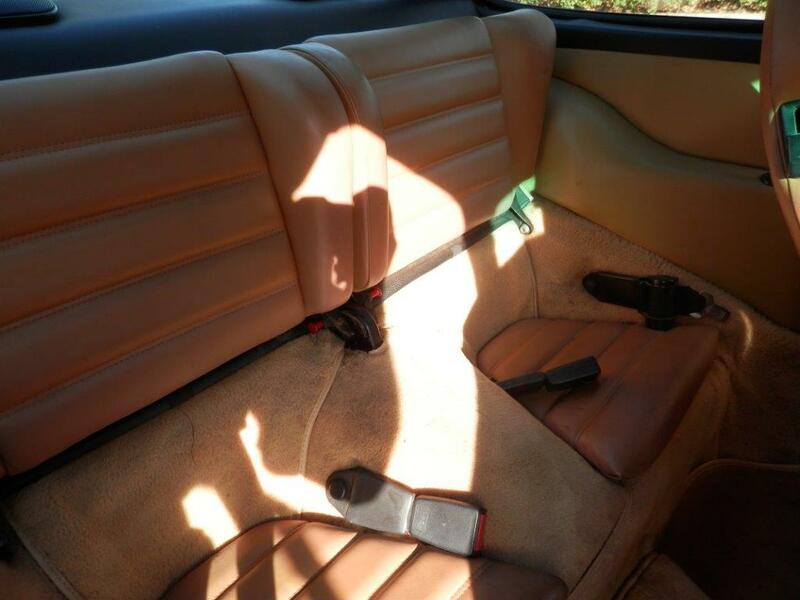 He sold it to get the 914 / 6. 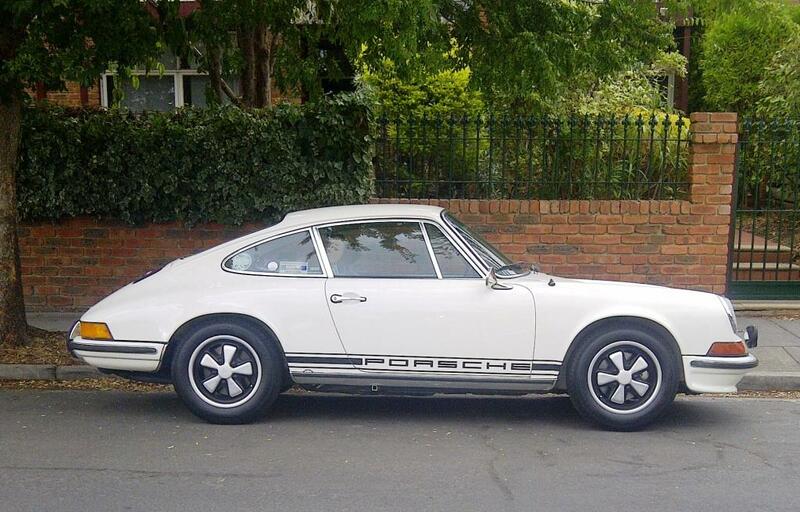 As time went by it became available for sale he could not resist the opportunity to buy it again. 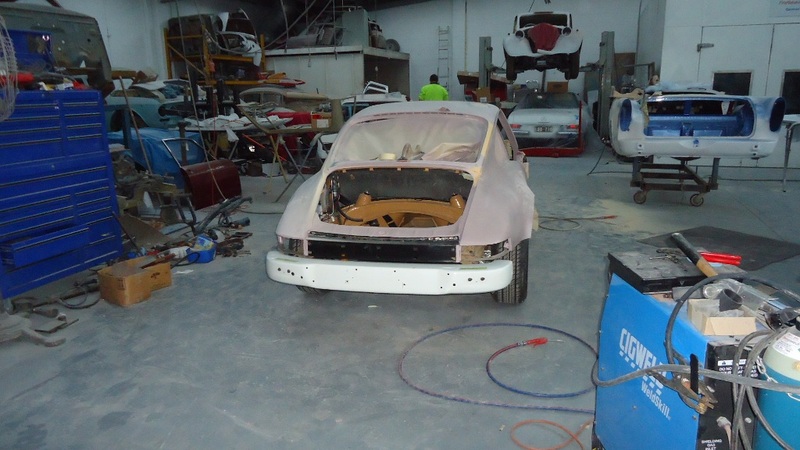 The car had been in storage for some time and had a damaged engine and some faded paint. 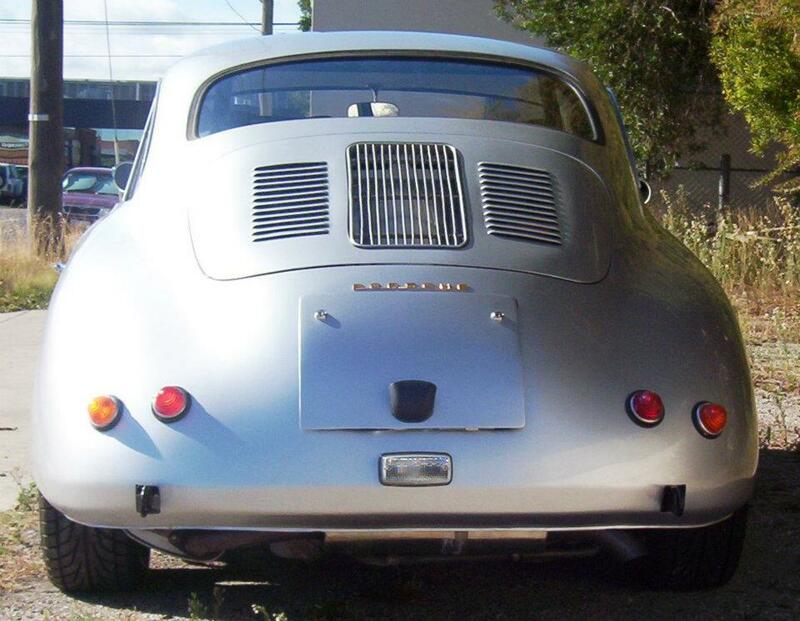 The task of bringing this gem back to its former glory was assigned to Spyder Automobiles! 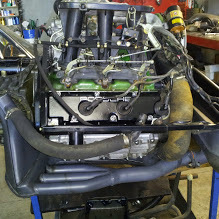 The first thing was to remove and assess the engine while the body was being repaired. 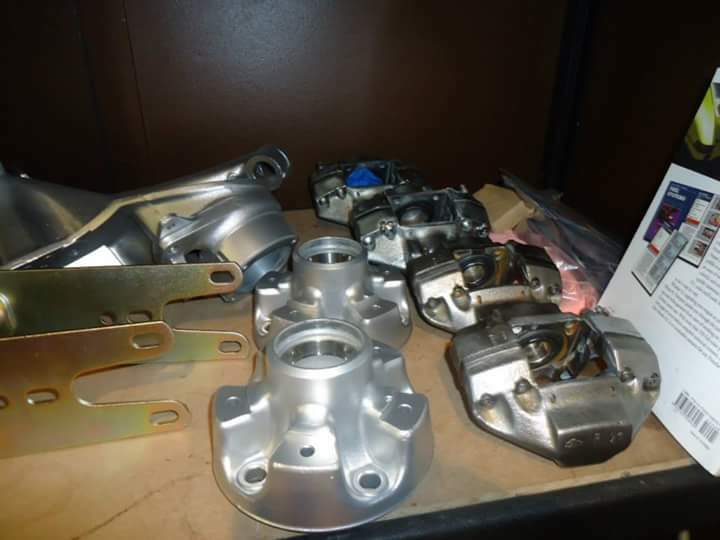 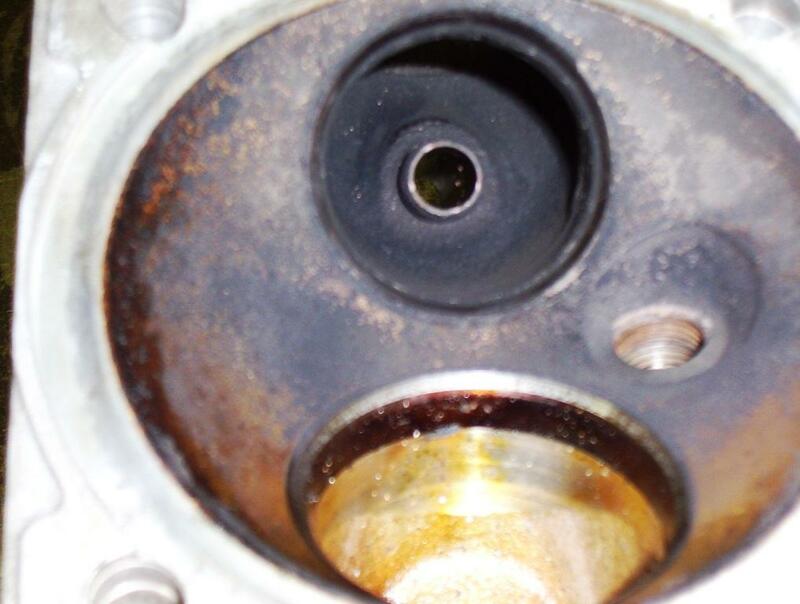 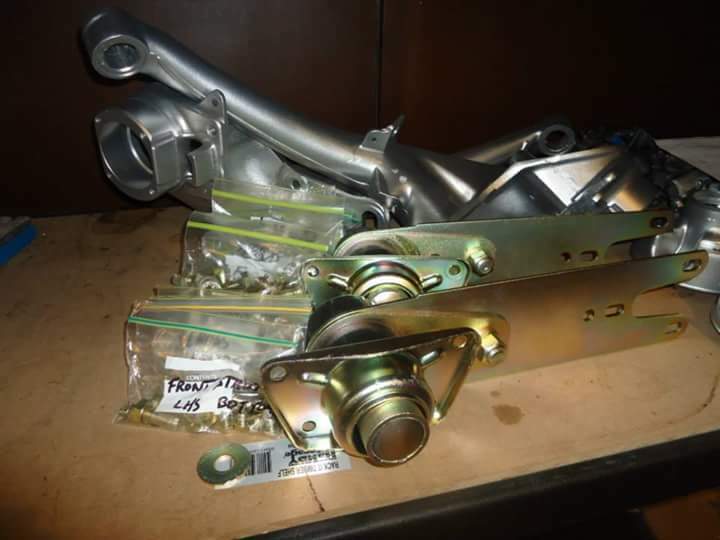 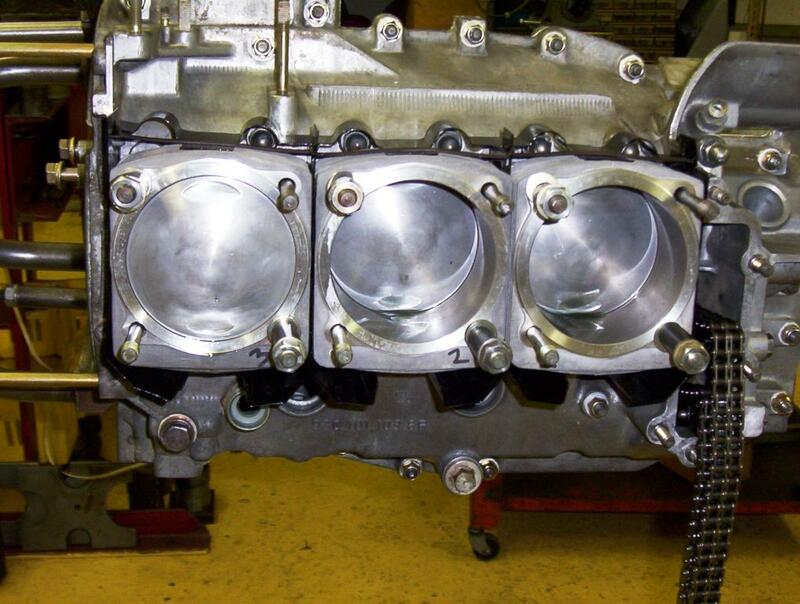 During this process, the engine had a complete rebuild and a new turbo was also fitted along with every related component checked and repaired or replaced as required! 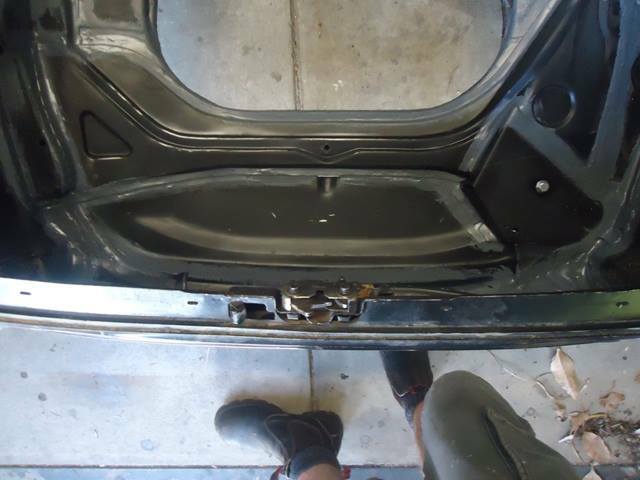 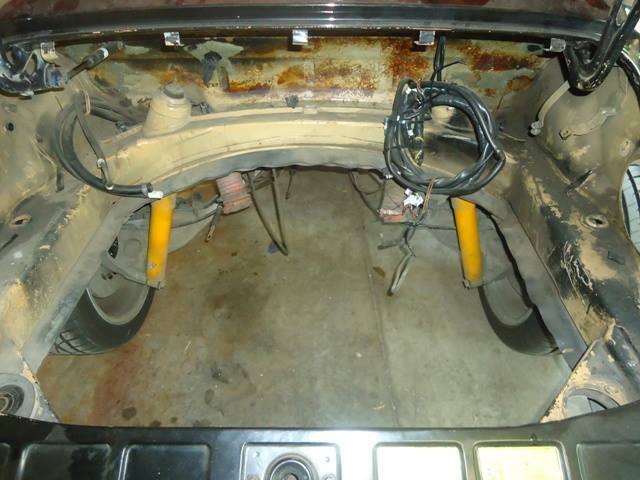 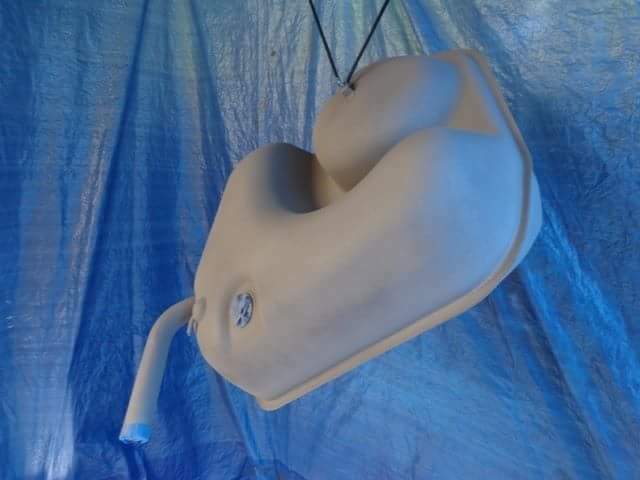 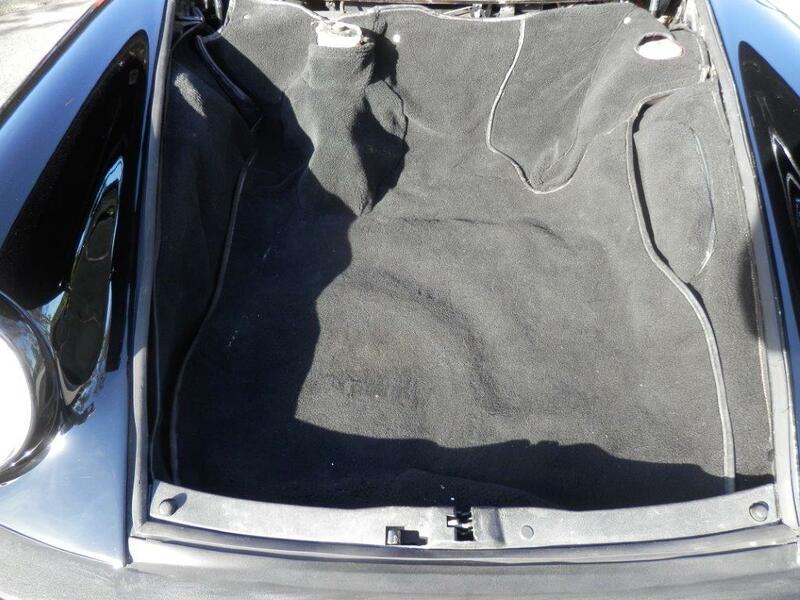 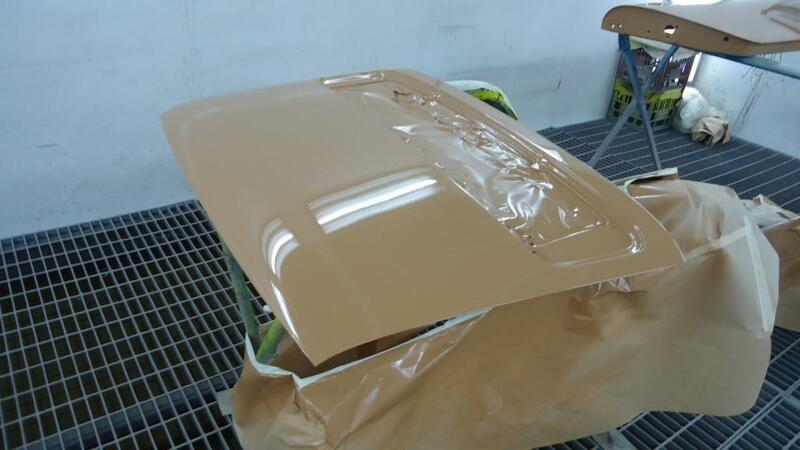 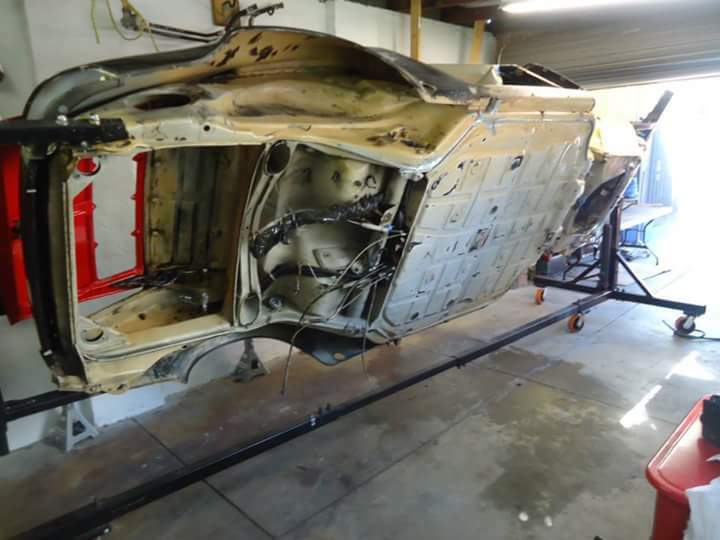 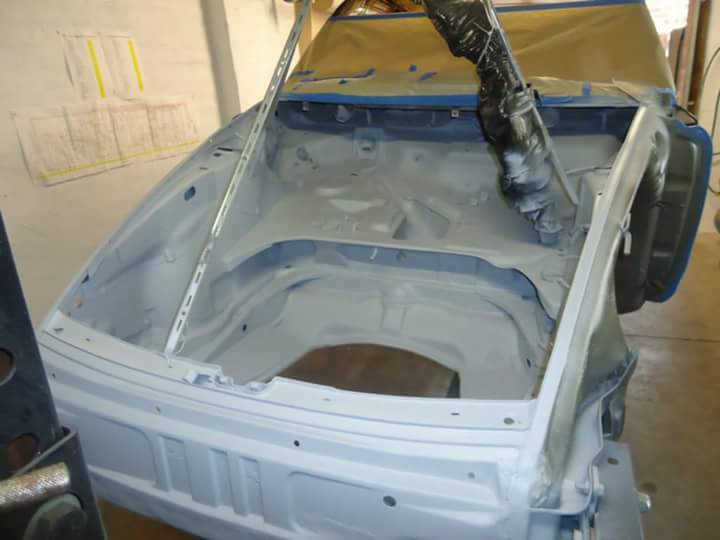 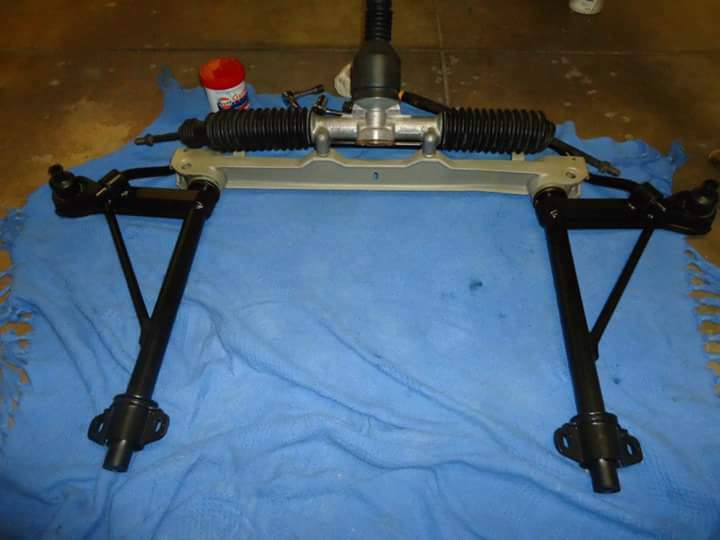 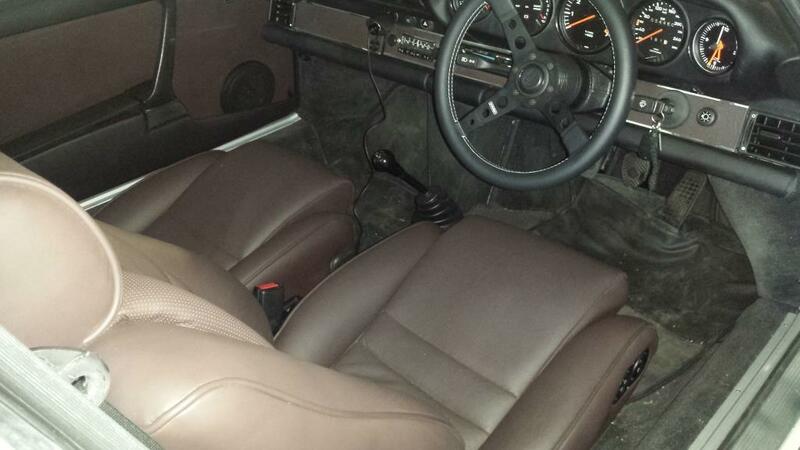 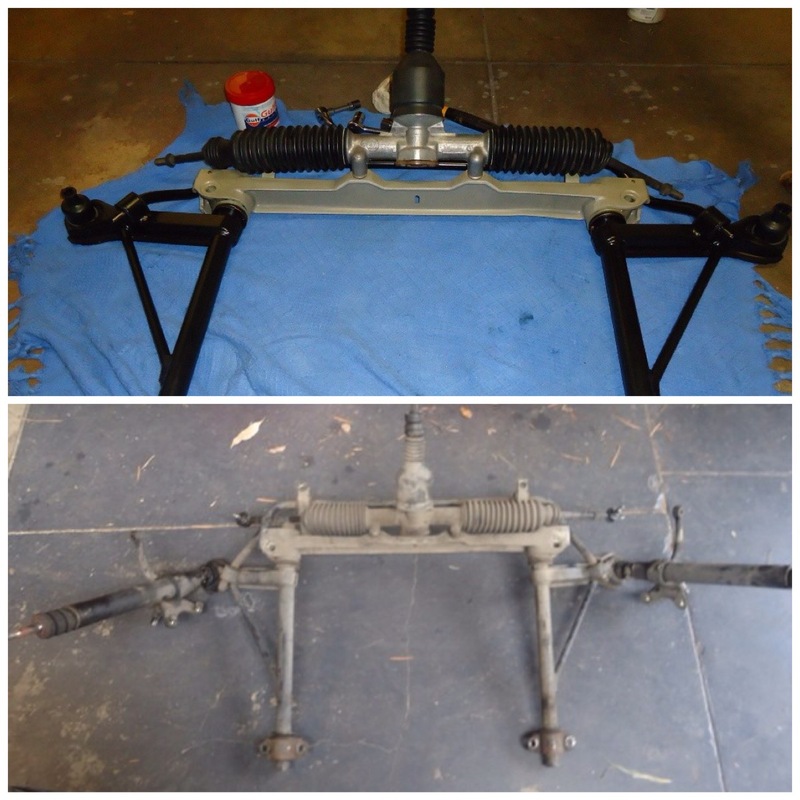 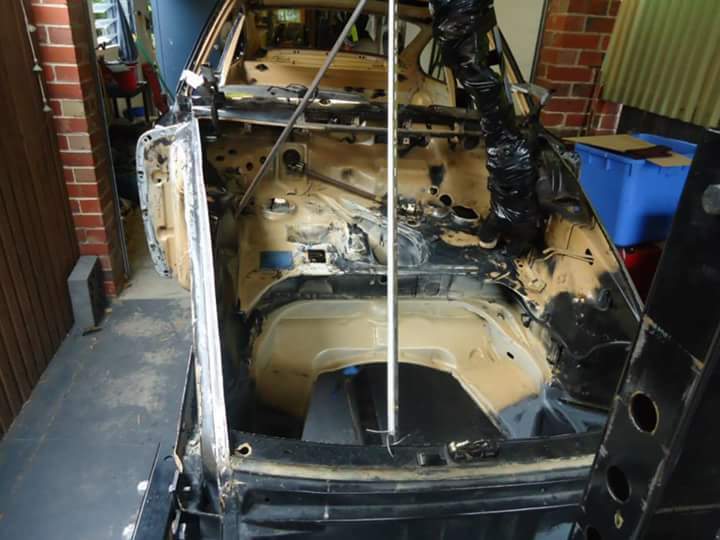 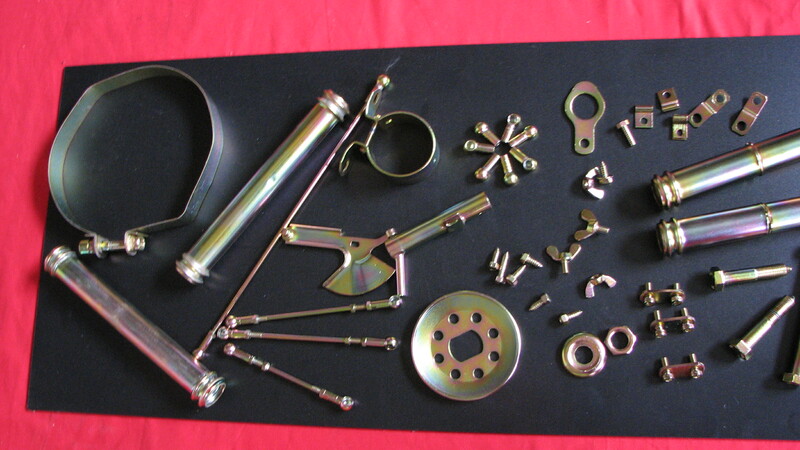 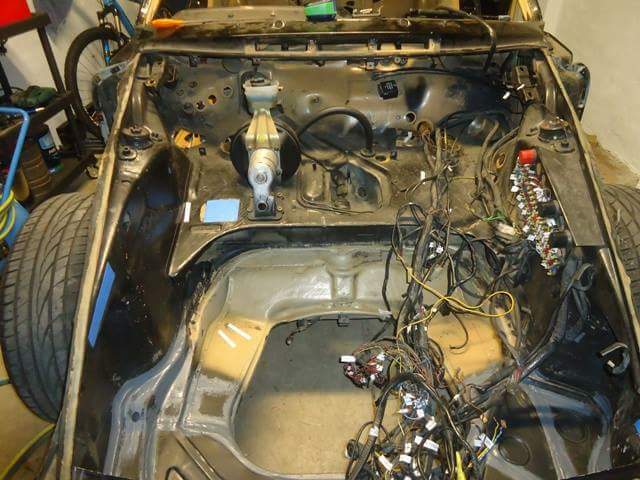 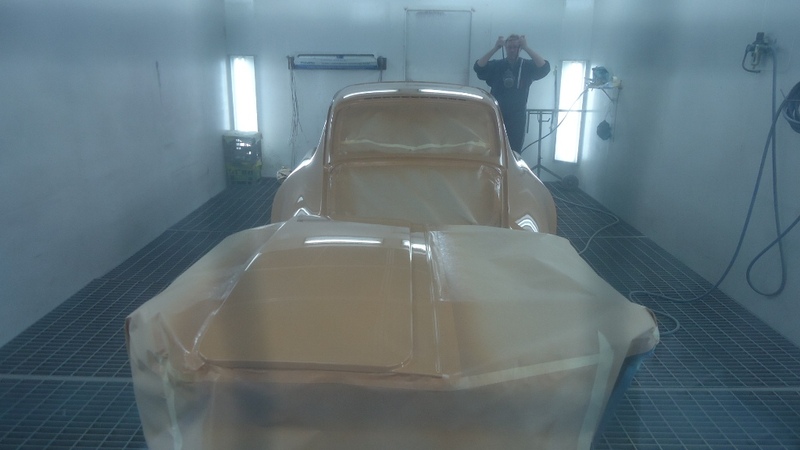 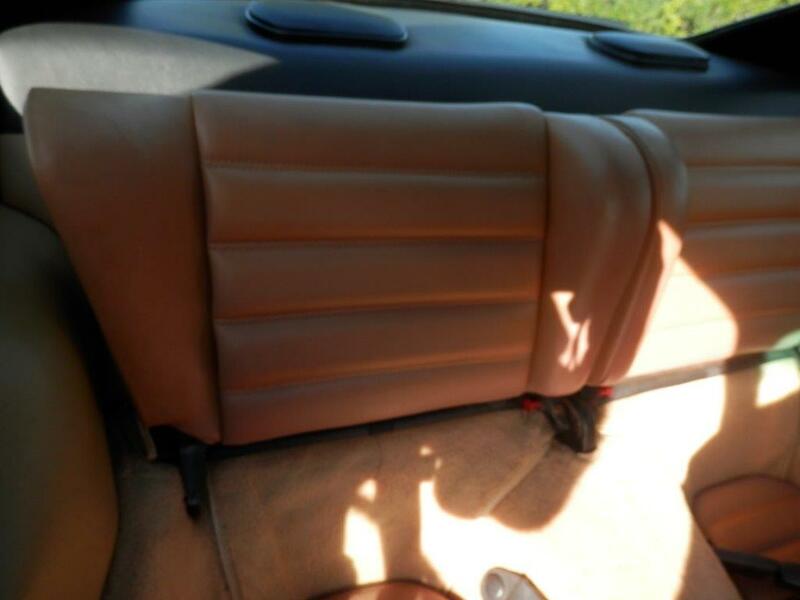 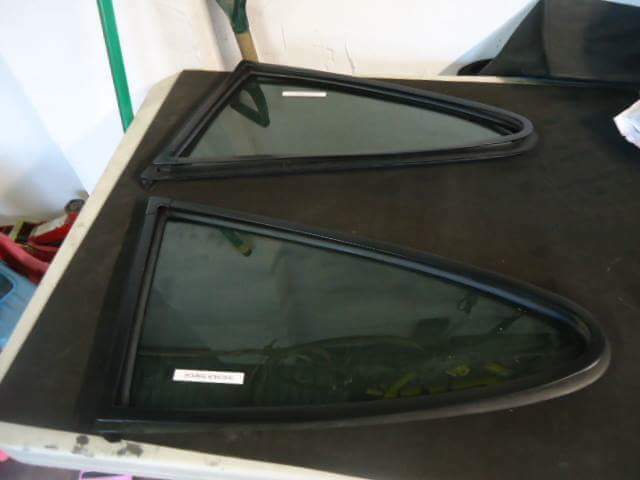 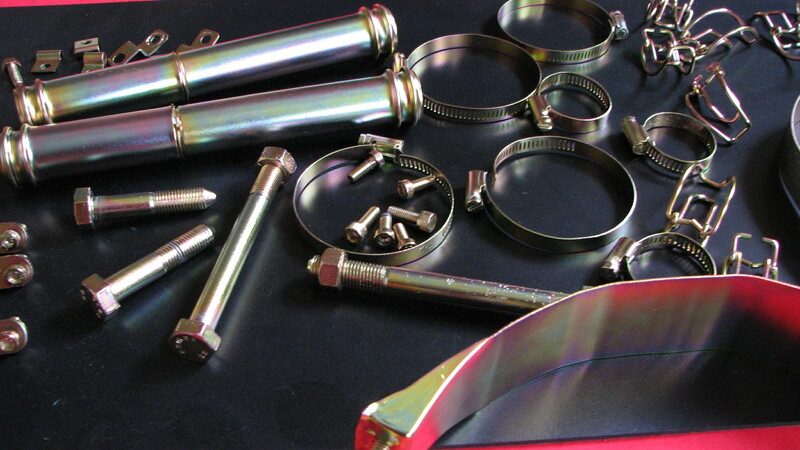 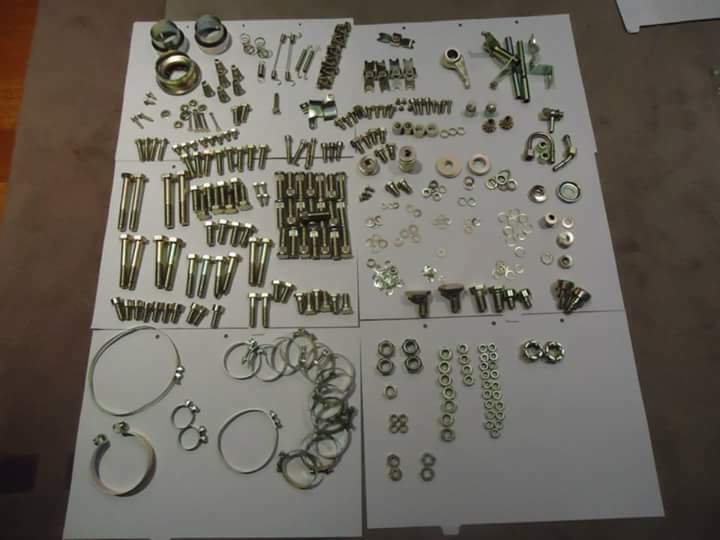 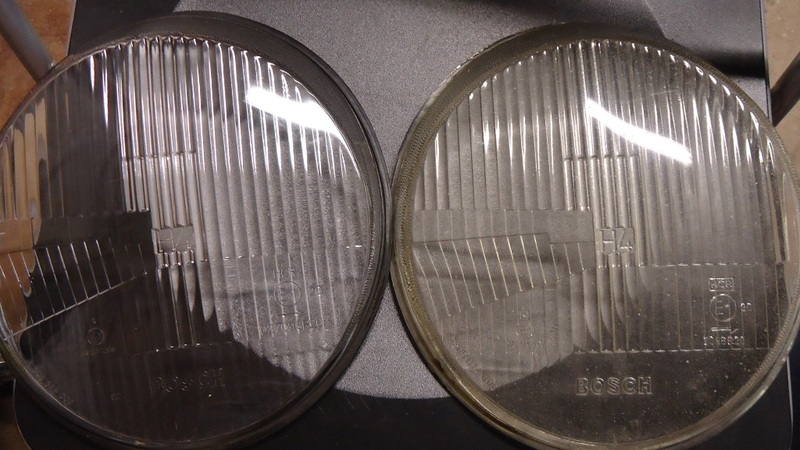 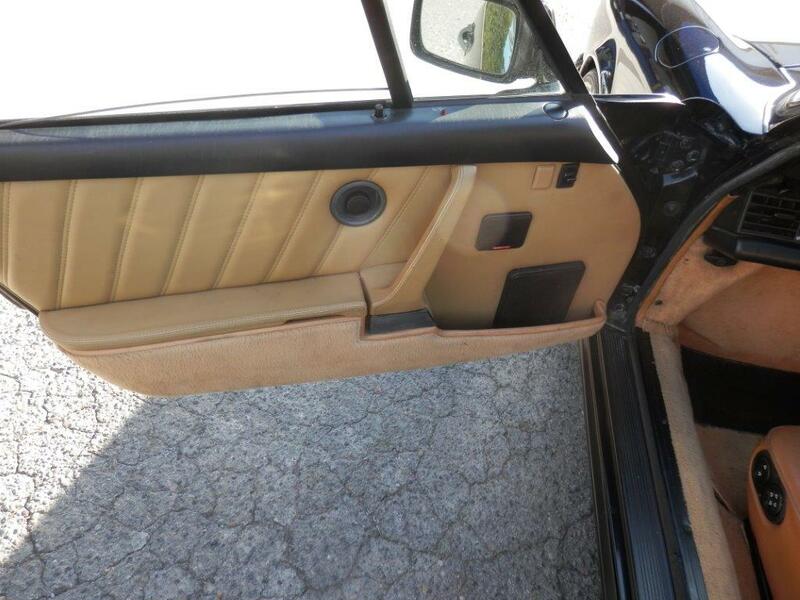 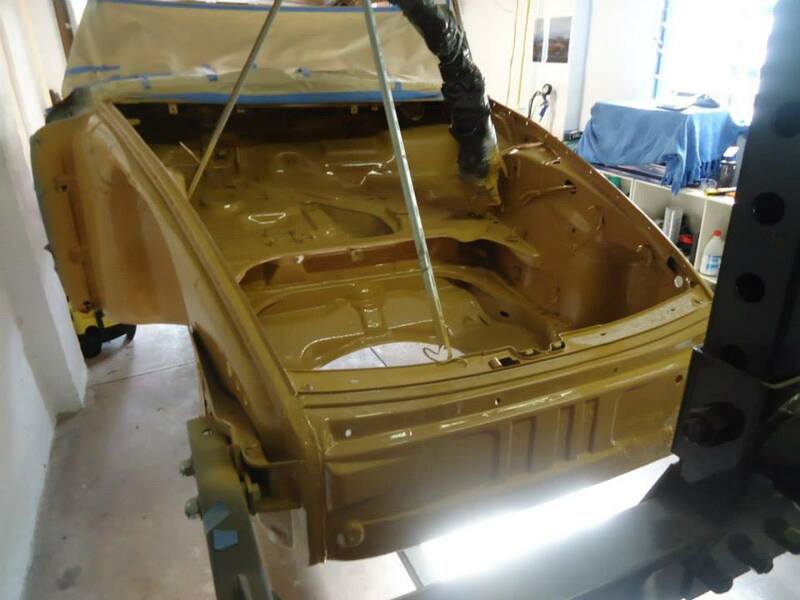 Every aspect of the car was checked and repaired as needed, resulting in it being almost a complete restoration. 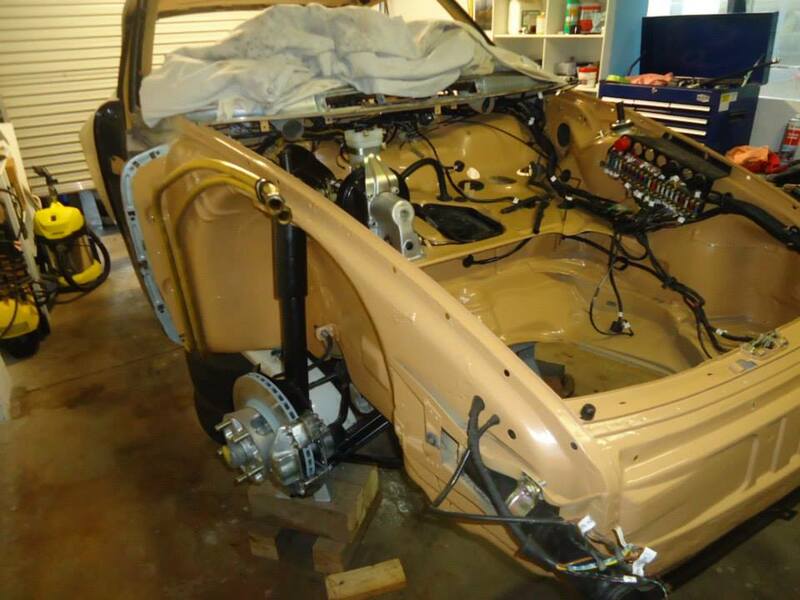 On completion the car was used for club events by both Ken and his son Trent for a number of years reliably and competitively before being sold again! 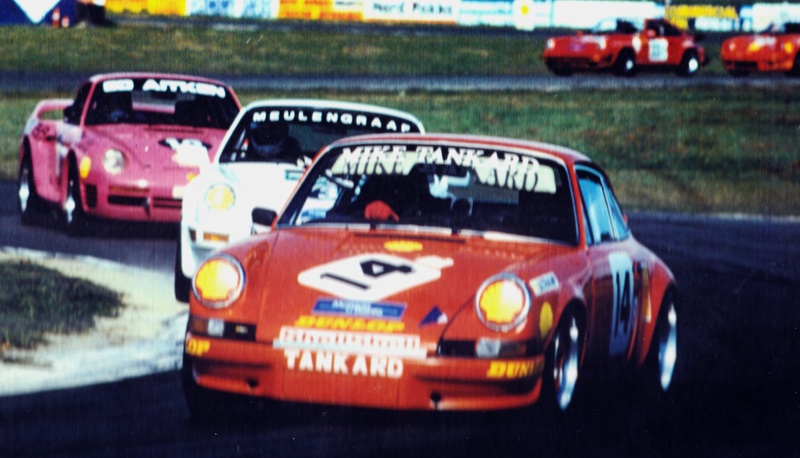 The Australian Porsche Cup winning 2.8 ltre, RS Specification car of Mike Tankard was prepared and re developed by Spyder Automobiles and as a result won the 1992 Australian Porsche Cup by a record margin at that time! 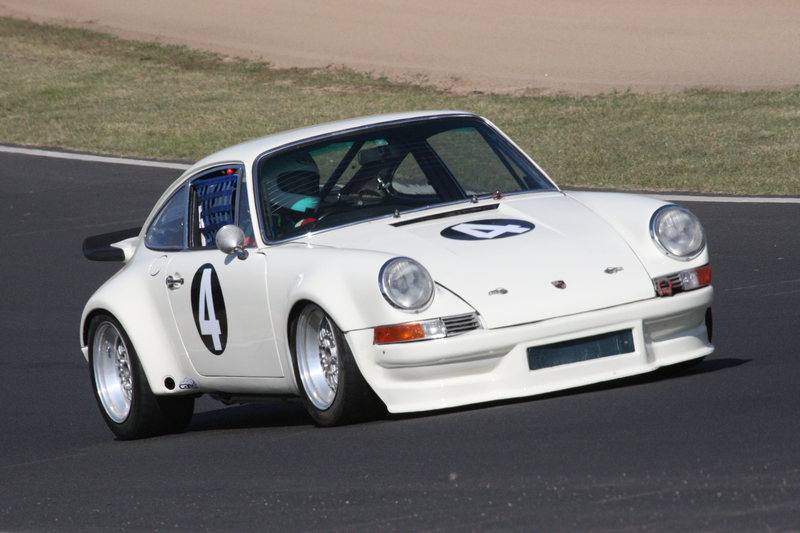 Every aspect of the car was evaluated and modified to suit by Spyder Automobiles then track tested by Mike Jacobson. 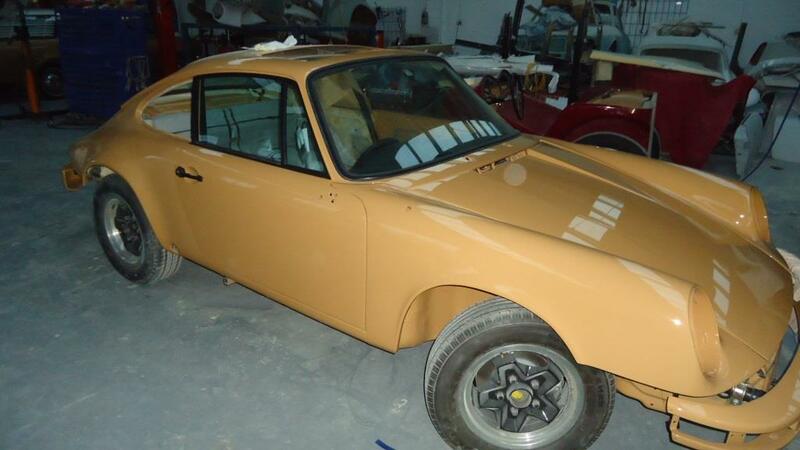 When completed, this was a car that was easy to drive and had very few, if any flaws! 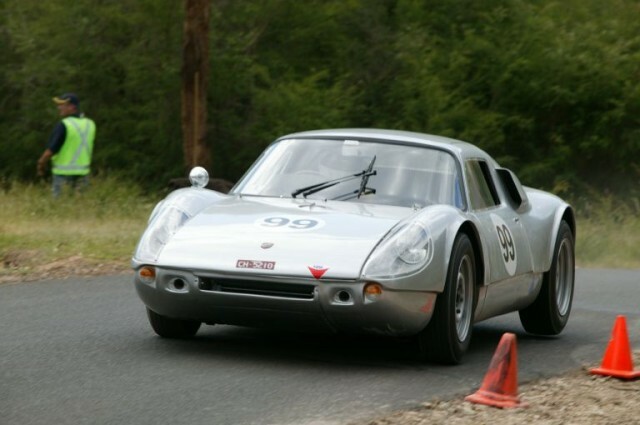 Porsche 904 / 6 The Porsche 904 was originally built and developed for Sports car racing as a successor to the spyder_test 718 introduced in 1957. 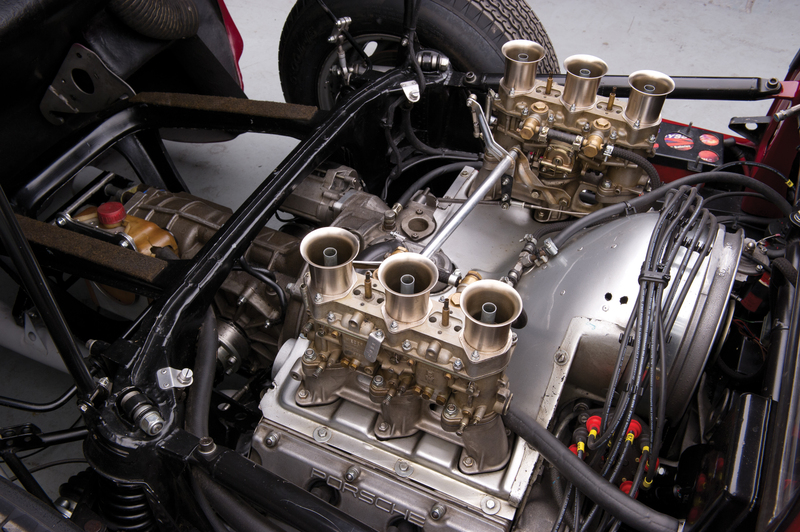 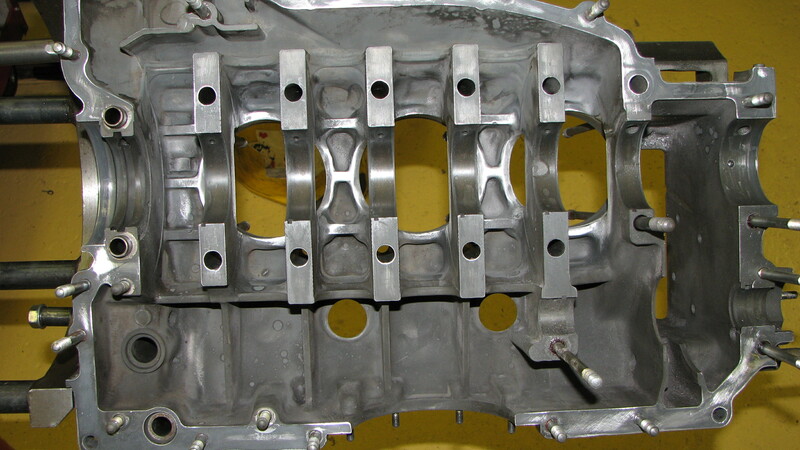 The 904's mid-engine layout was inherited from the 718, also known as the RSK, the factory's leading race car. 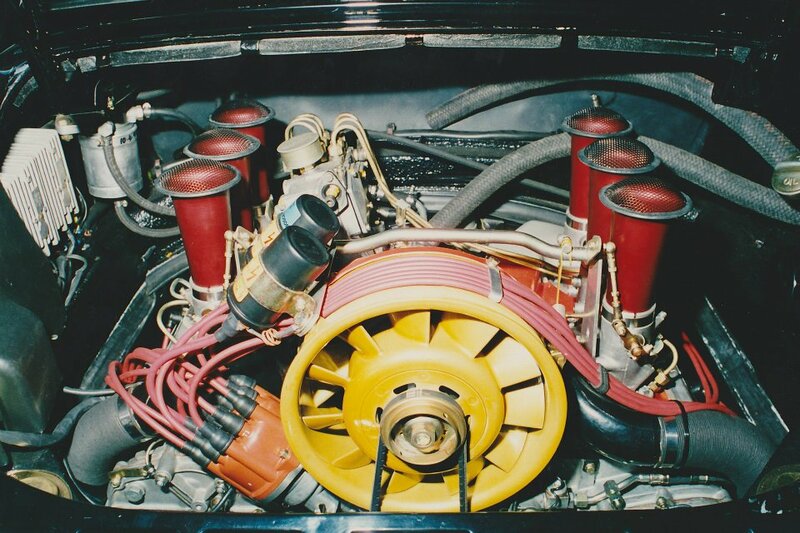 It was powered by the 1,966 cc (120 cu in) Type 587/3, four-cam flat four-cylinder engine producing 198 hp (148 kW), it was probably the most complex four-cylinder ever. 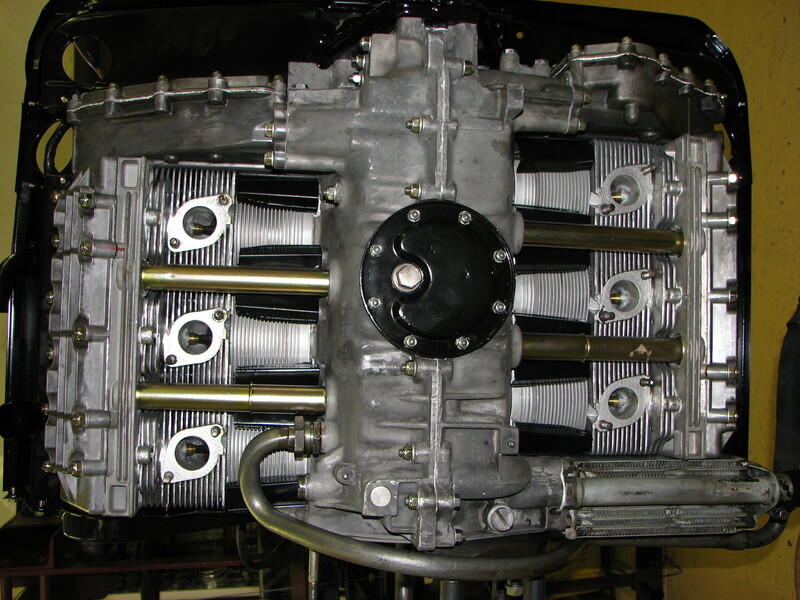 It was a quad camshaft flat four cylinder with bevel gear driven camshafts! 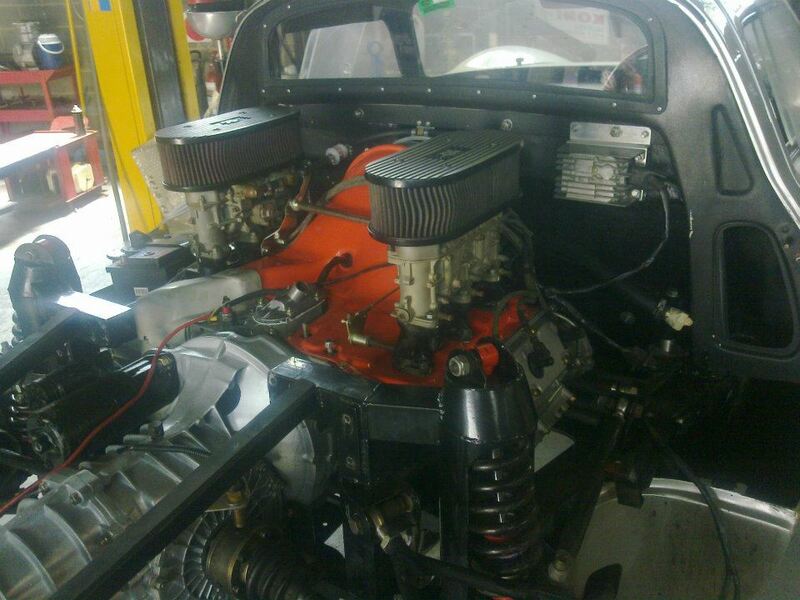 It drove a five-speed transmission with independent rear suspension. 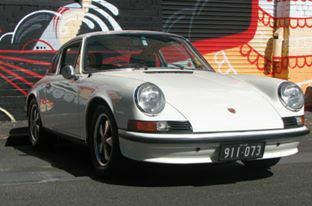 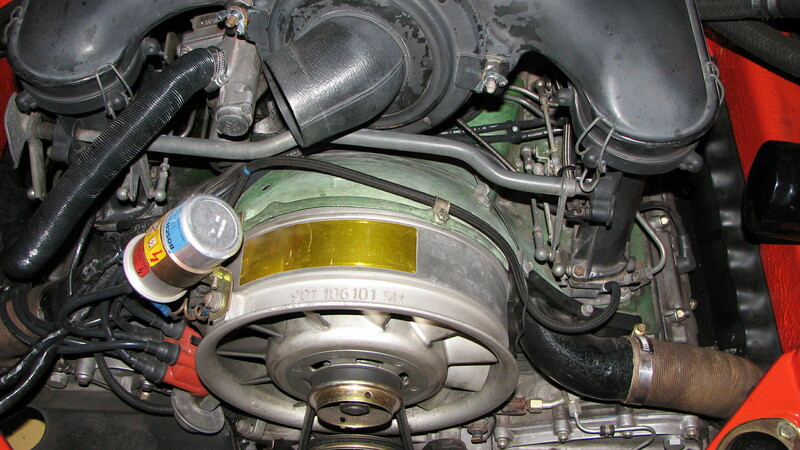 Some later versions were fitted the 2.0 litre 6 cylinder engine from the newly released 911 model. 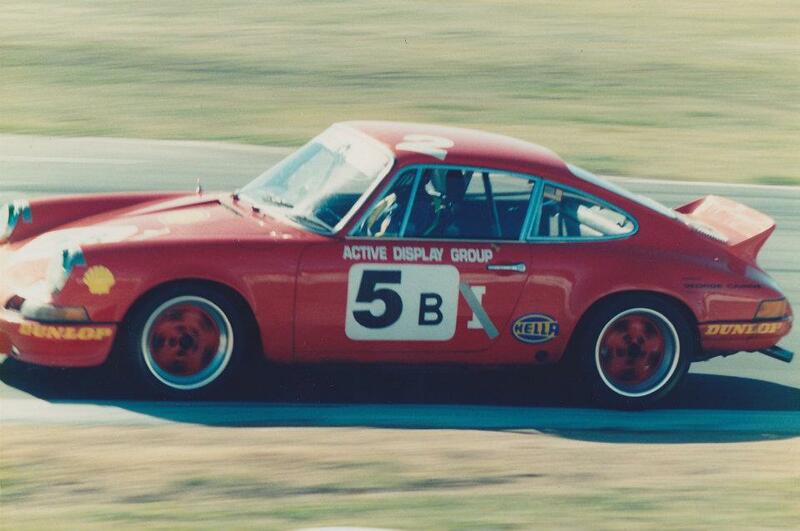 These were to become the prototypes of the awesome 906 Sports Race cars! 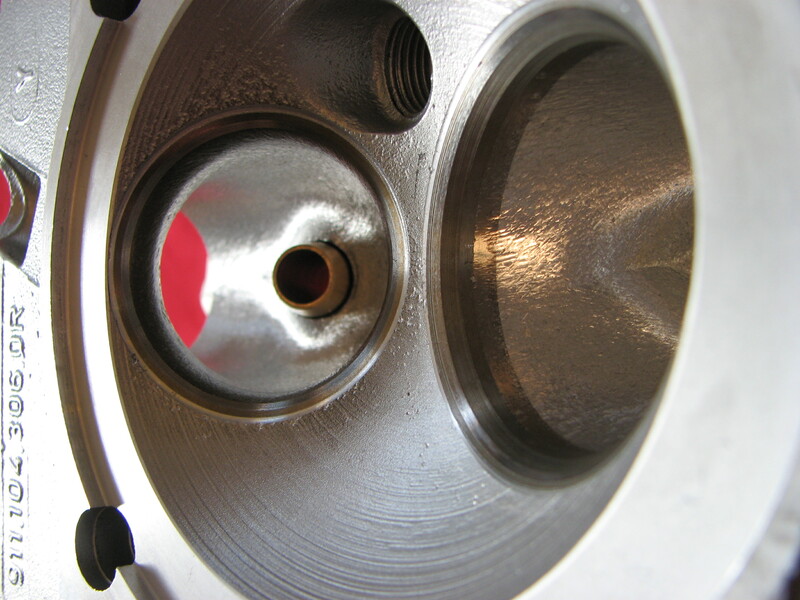 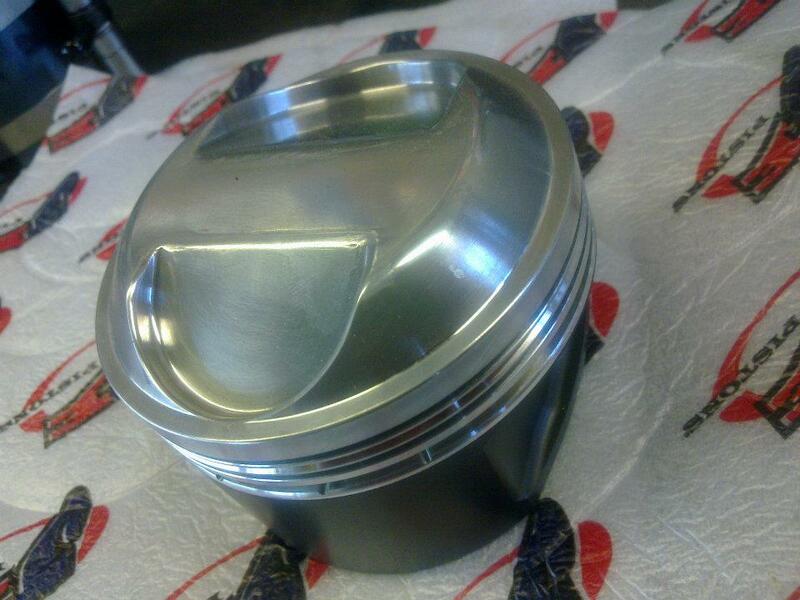 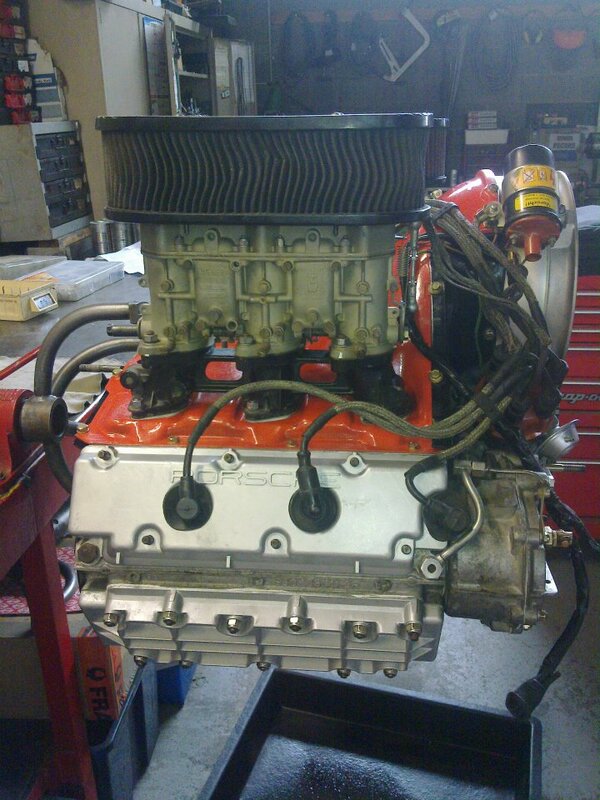 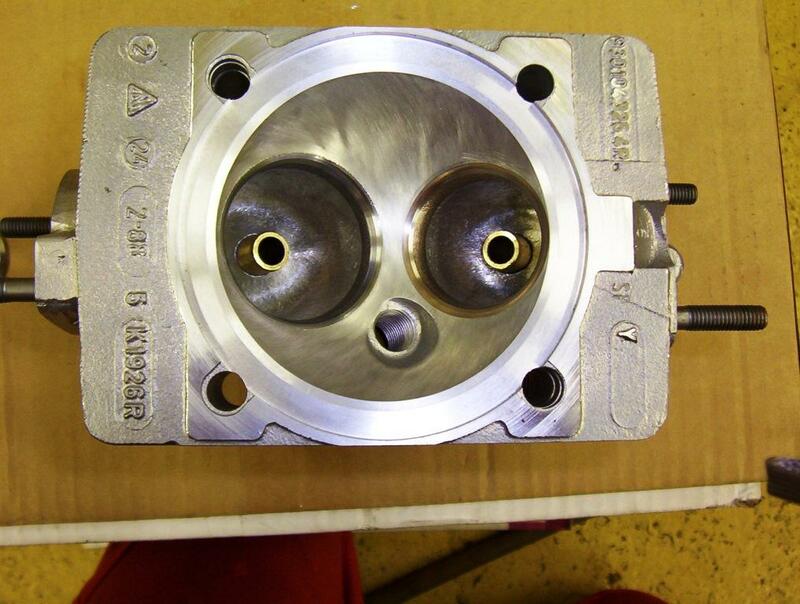 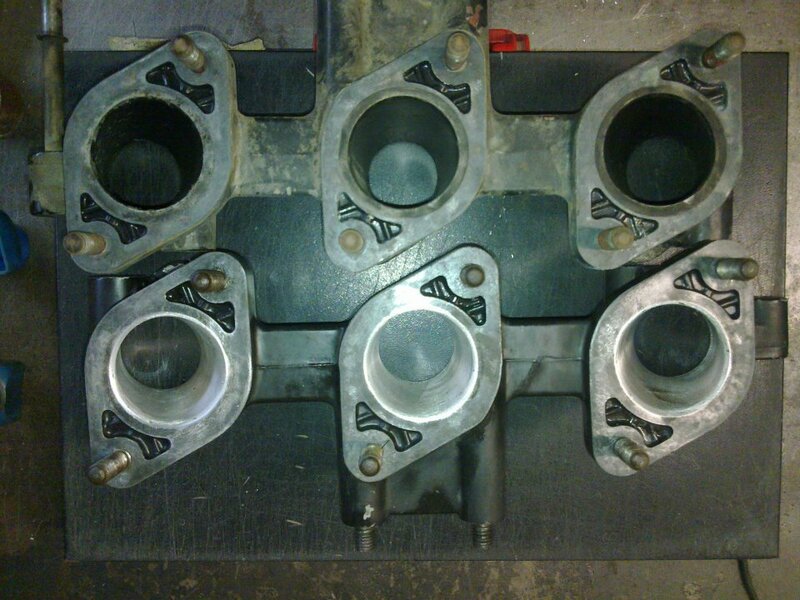 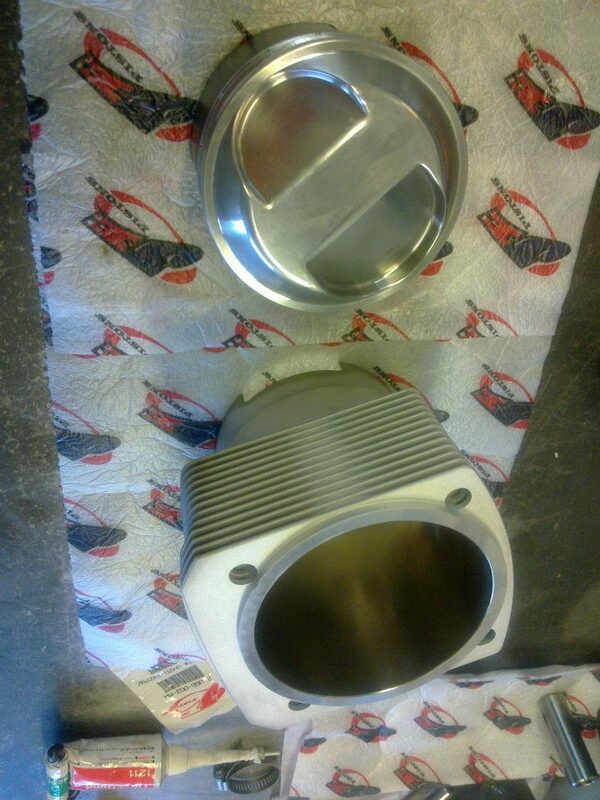 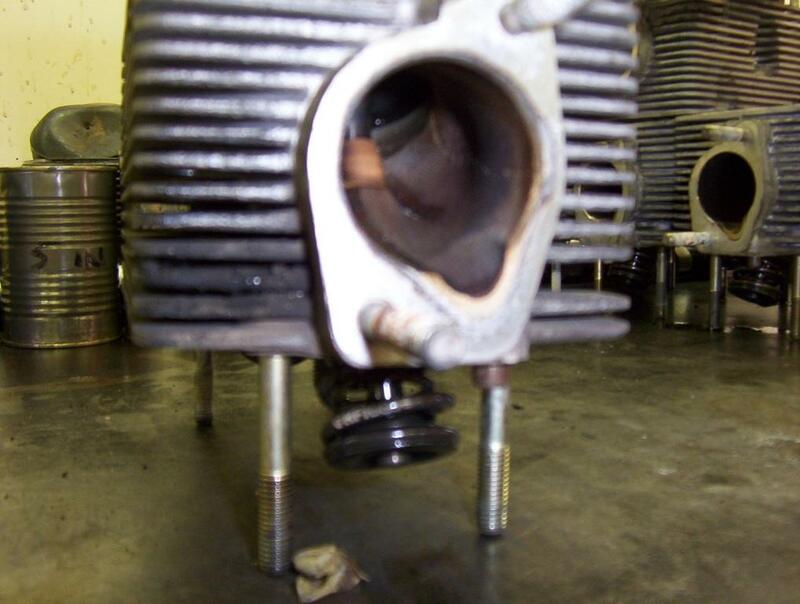 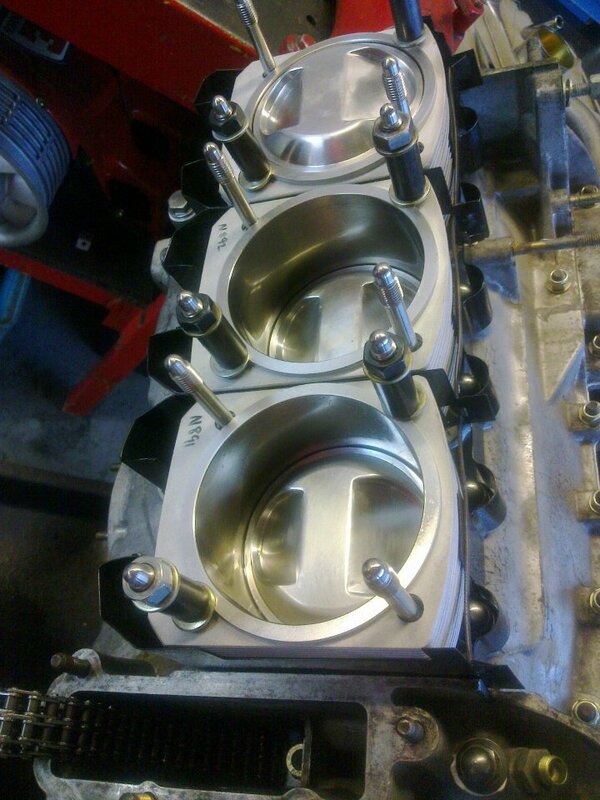 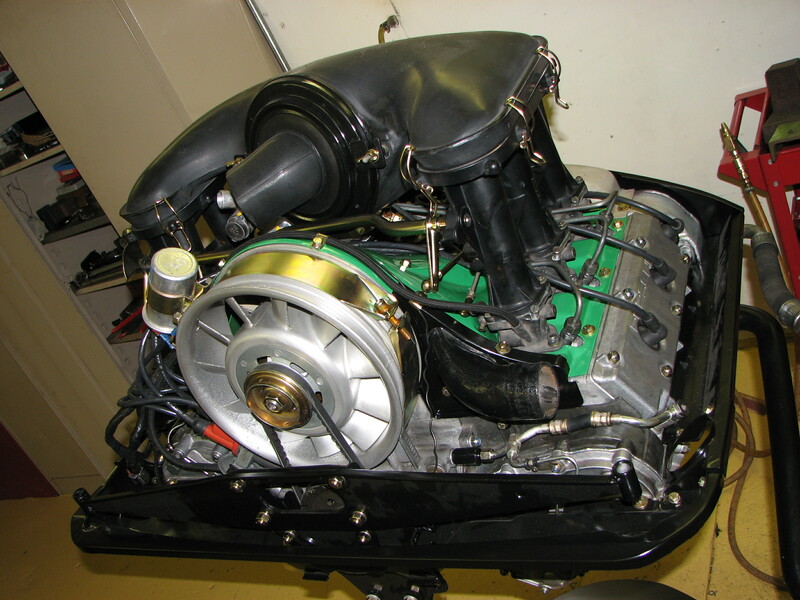 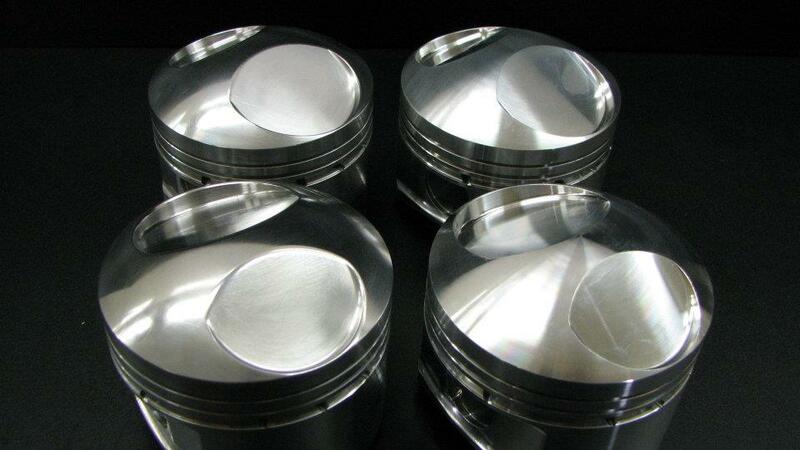 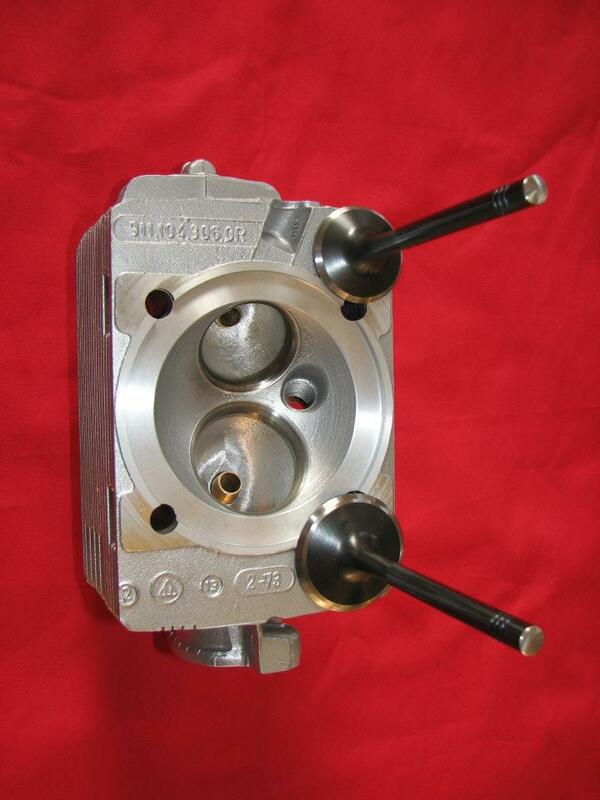 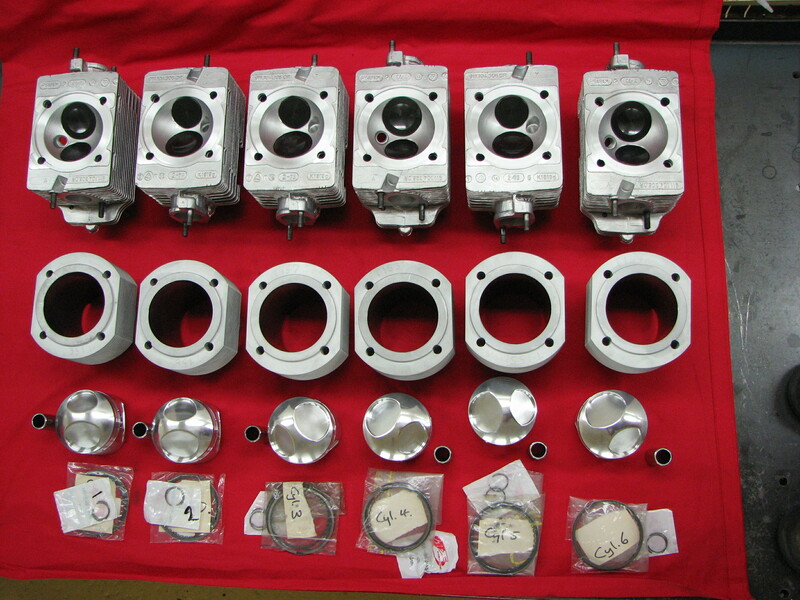 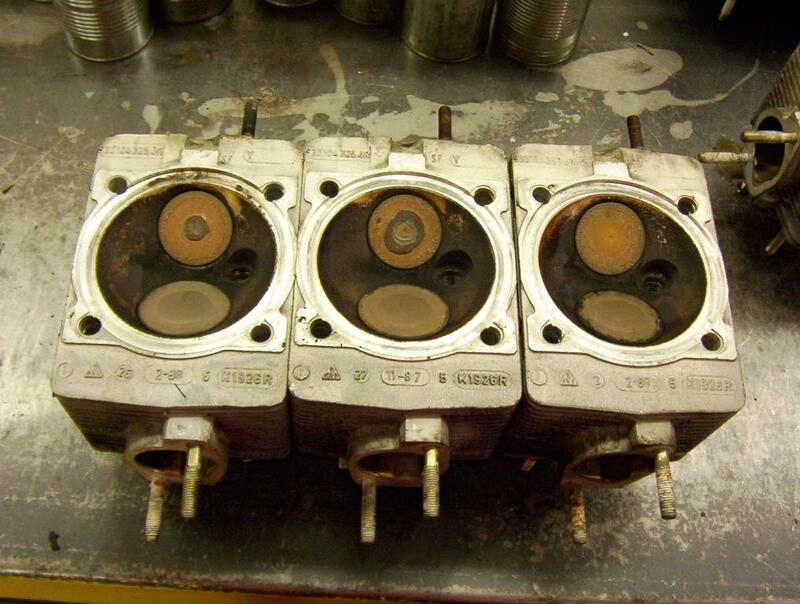 See engine pictures for the Quad cam 4 cylinder and 906 engine examples! 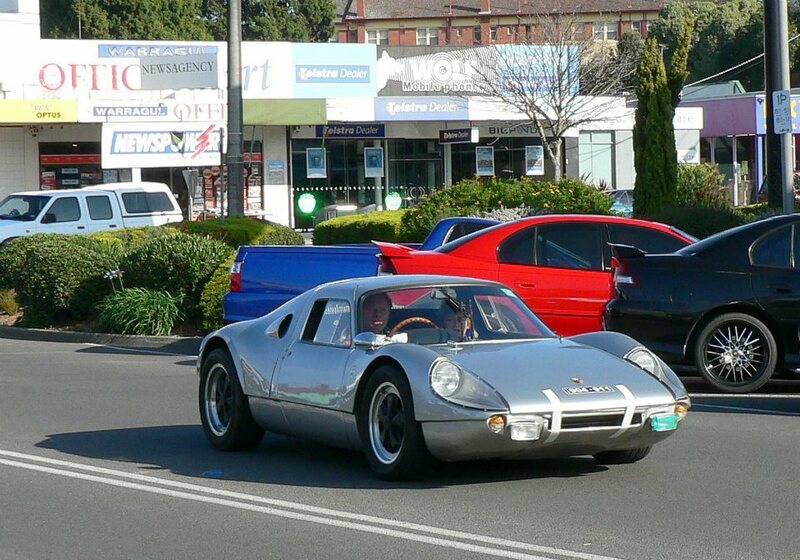 This car was brought into Australia as a rolling chassis the task for spyder_test Automobiles was to make this a going car for use in competition. 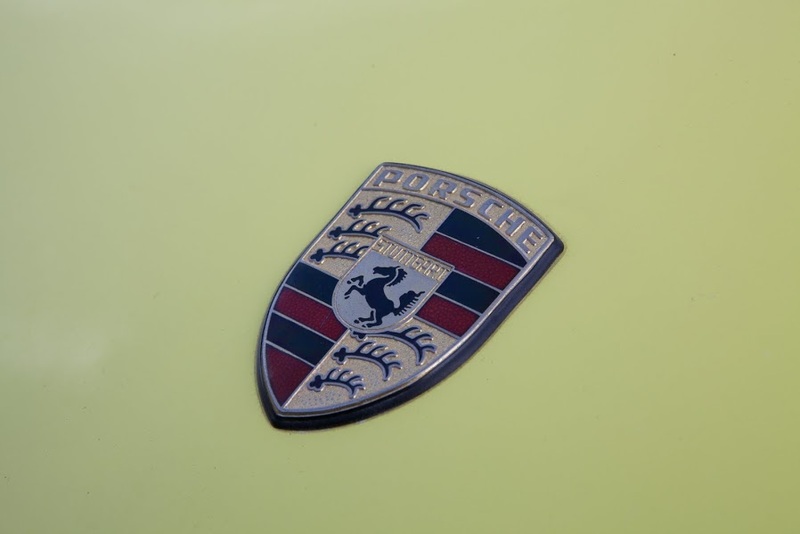 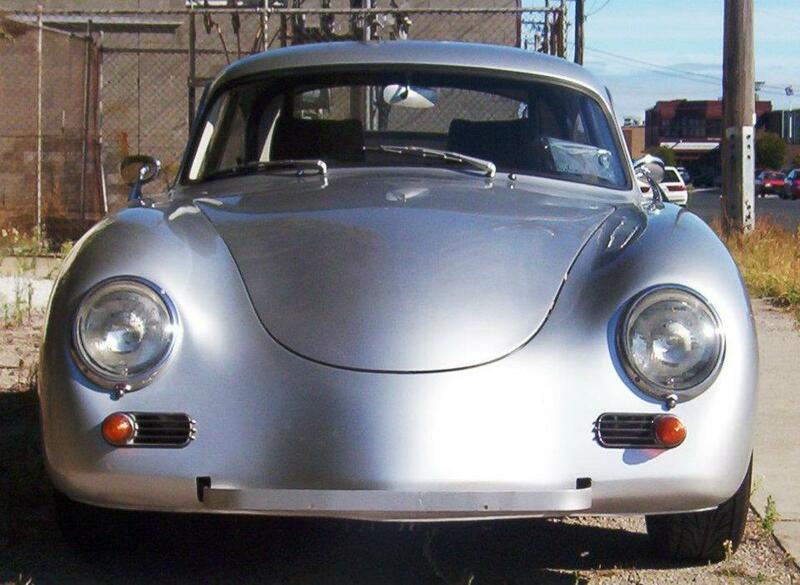 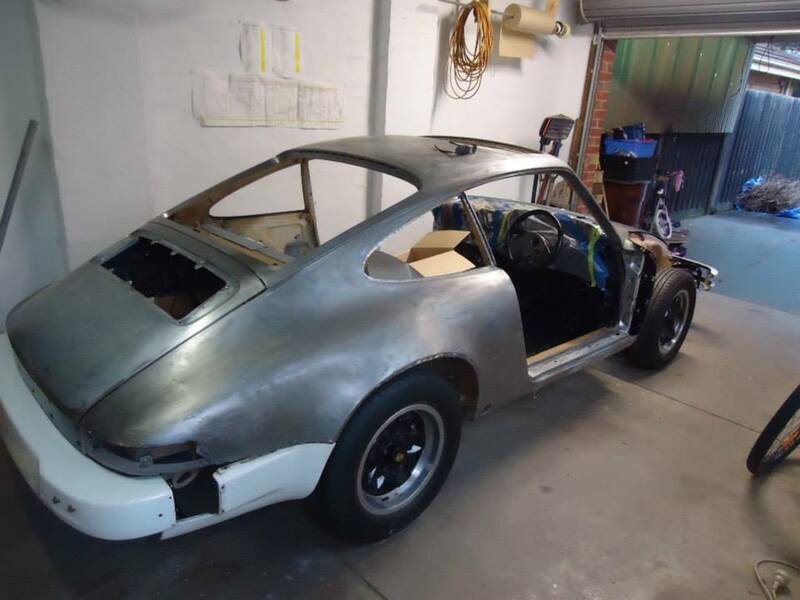 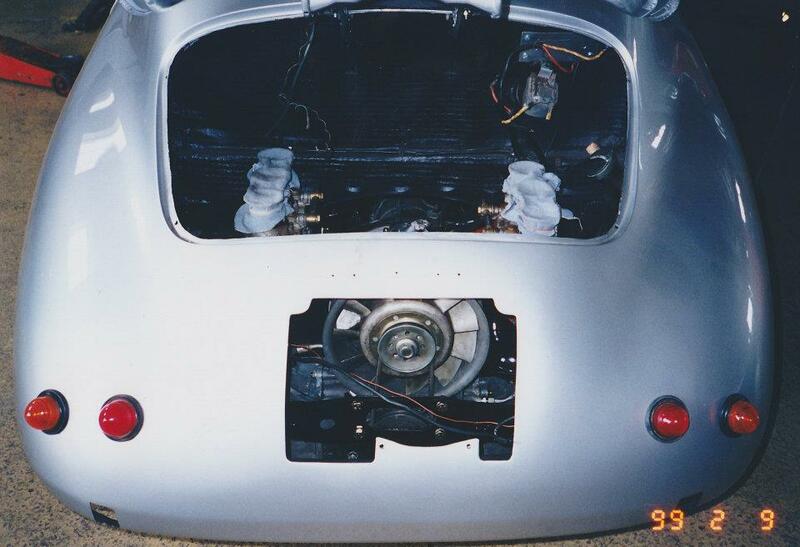 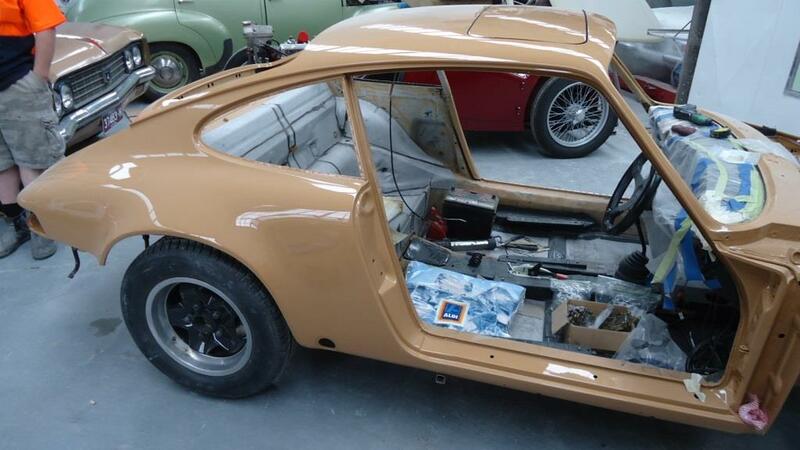 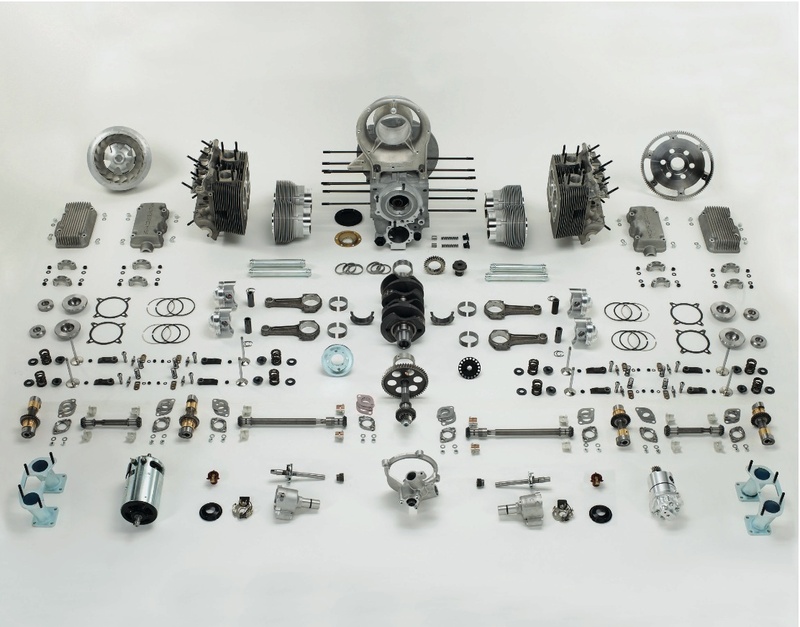 In the following weeks the engine was built as was the transmission, both, period correct aluminium cased 2.0 S 911 engine, and the aluminium 901 series gearbox. 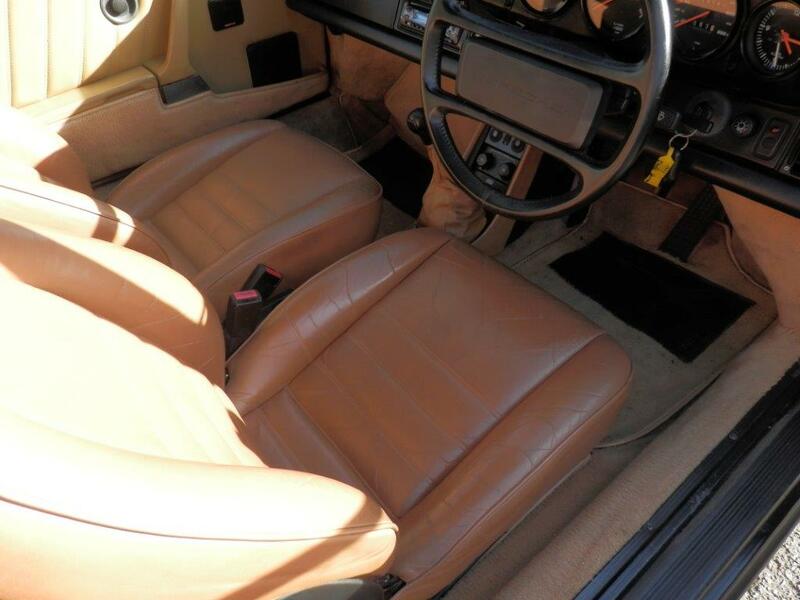 Every aspect of this car was kept period correct and in the spirit of the original car. 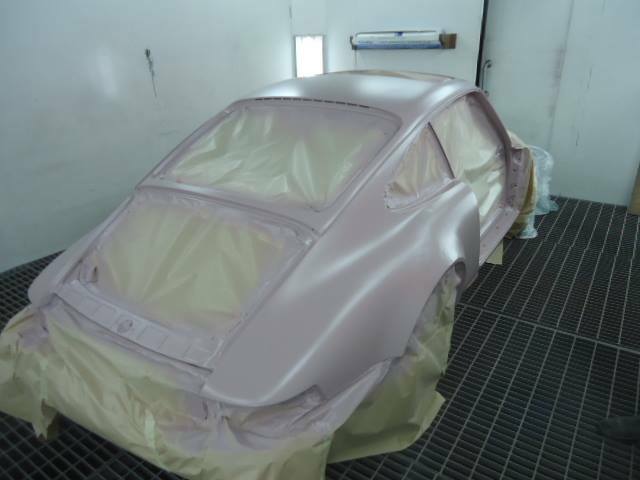 The end result was a well accomplished car that was easy and a joy to drive! 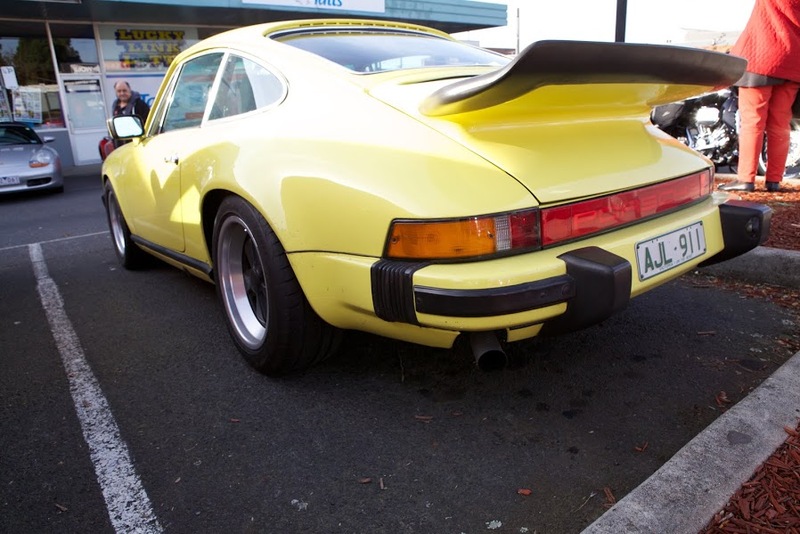 This is one of the wonderful traits of well set up Porsches of any description! 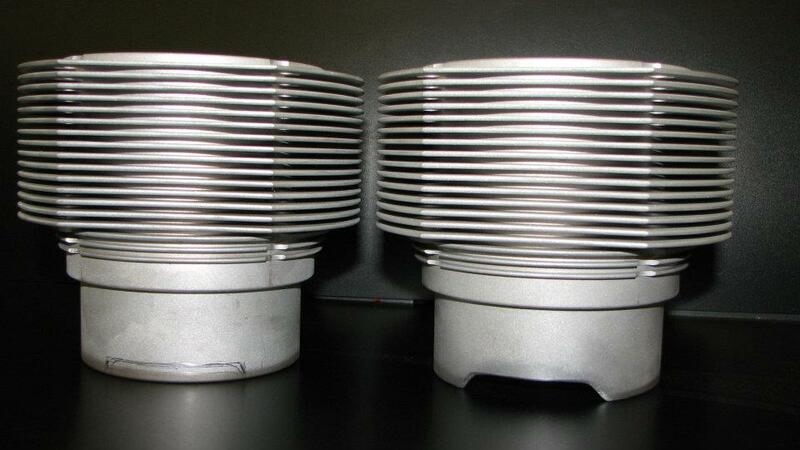 They can be used on a daily basis and then used to compete on the weekend! 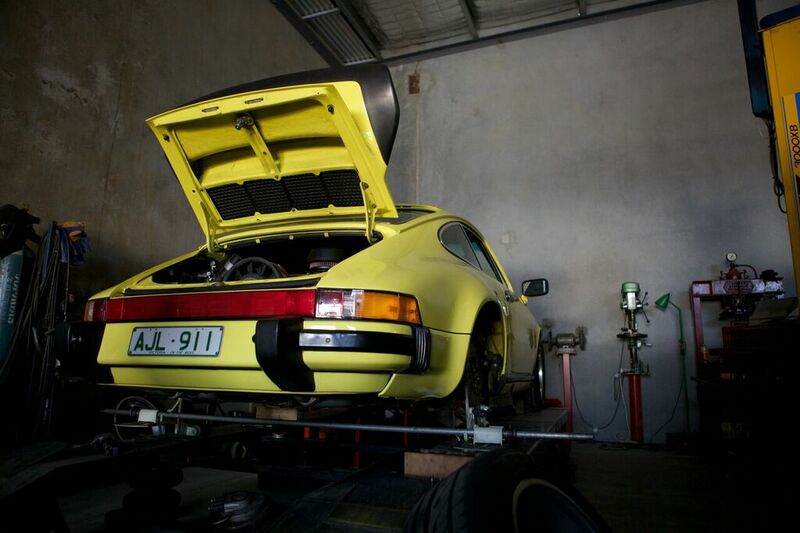 Almost regardless of the state of tune! 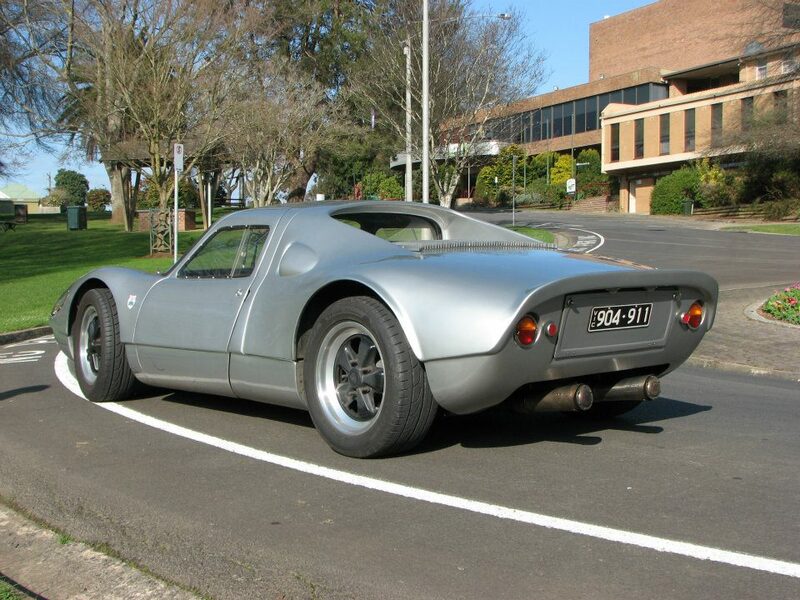 This 904 was used in competition for a number of years with mixed success and was reliable and quick car, once the teething problems from previous repairs were sorted out! 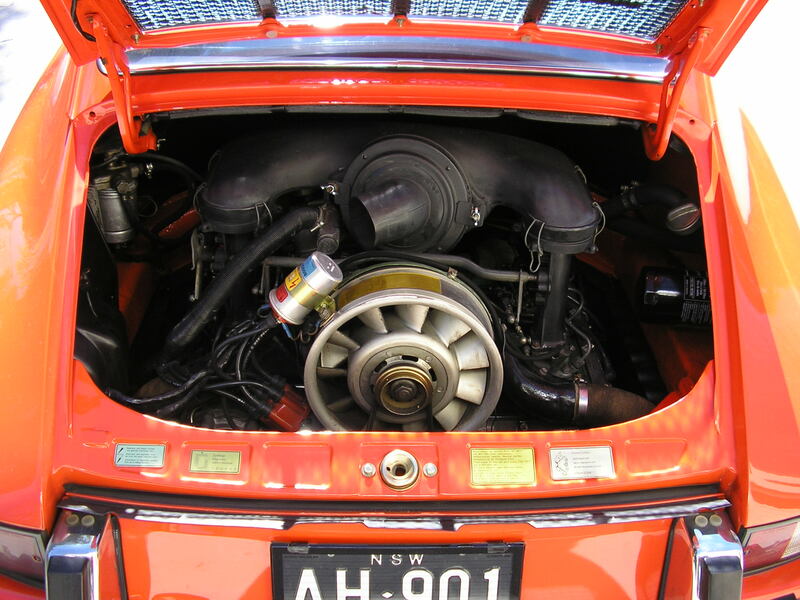 The engine Photos are typical 904 and 904/6 and do not represent this car.